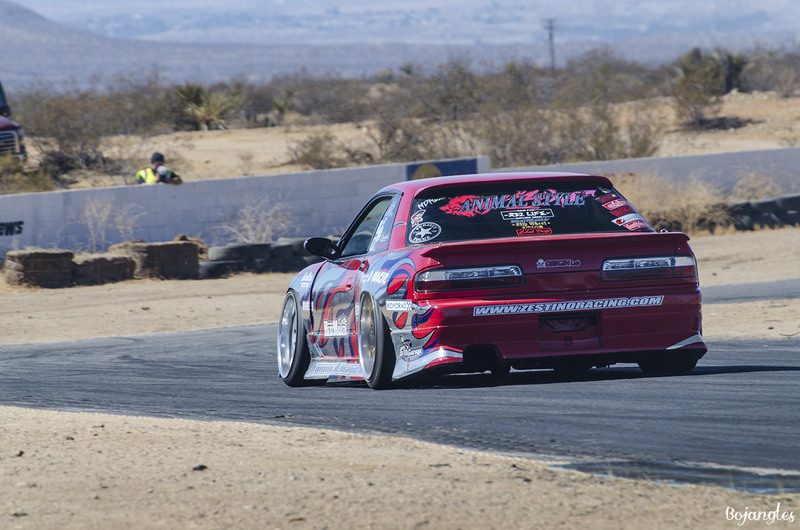 I woke up at 6am, grabbed my camera bag and batteries off the charger, hopped in my wagon and went on a really nice morning cruise to San Marcos. 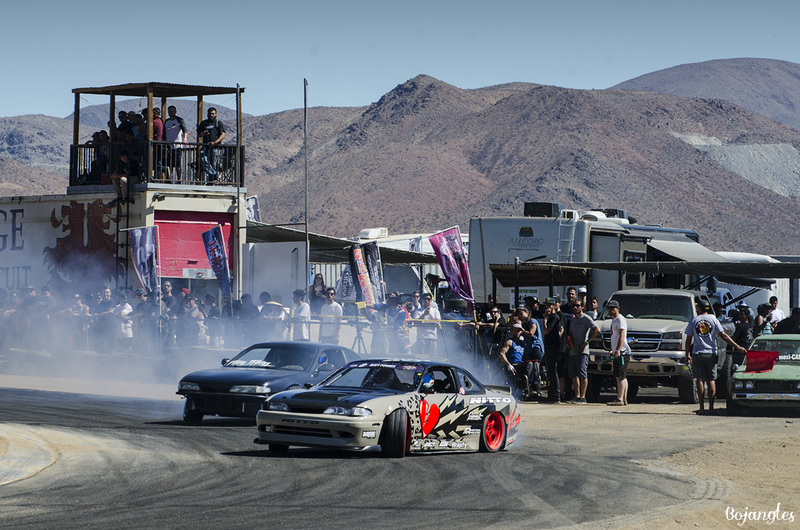 There I met up with Landon at his house and we took his truck up to Grange Apple Valley for SUPER D. We got to the track and man I’ve never seen it so packed! 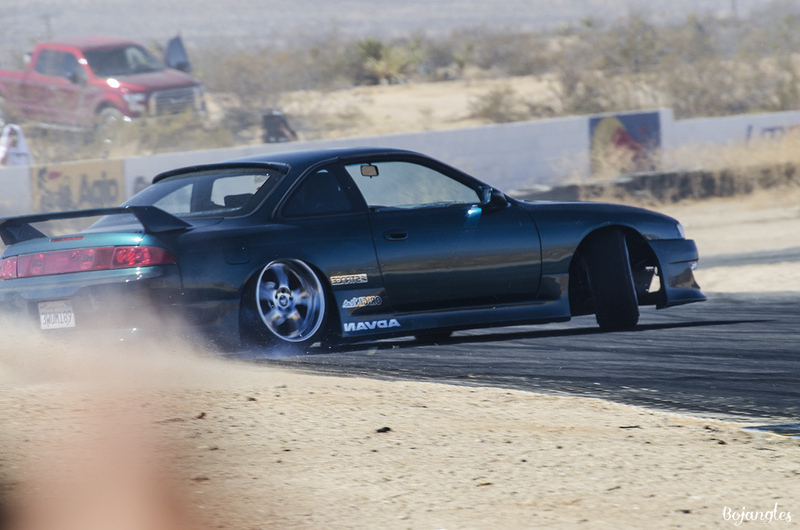 We got there around 10:30 and cars were out on the track drifting. 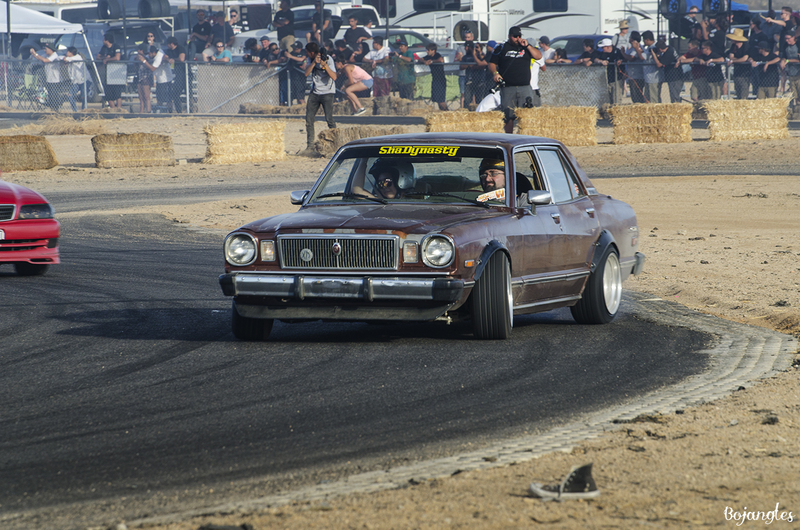 This wasn’t my first time at Grange but it was my first time seeing this place filled up with so many awesome cars and cars that I’ve always wanted to see in person. 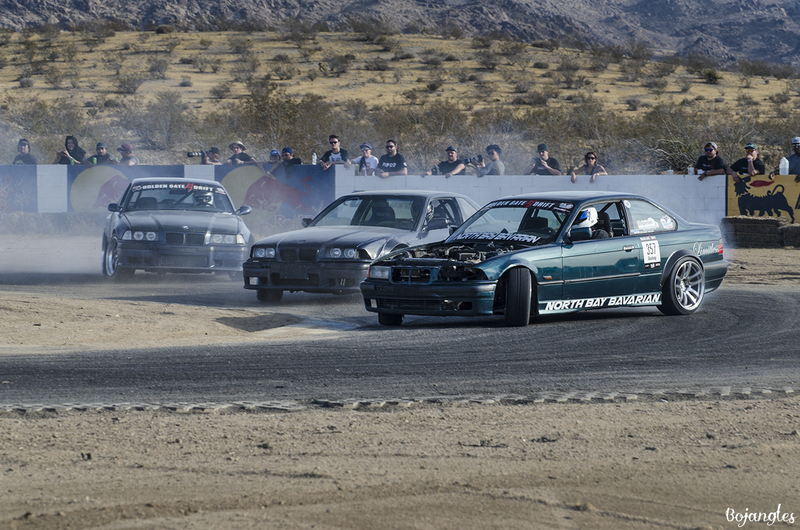 This event was special because I know a lot of these cars traveled hundred of miles out to Apple valley for this day. 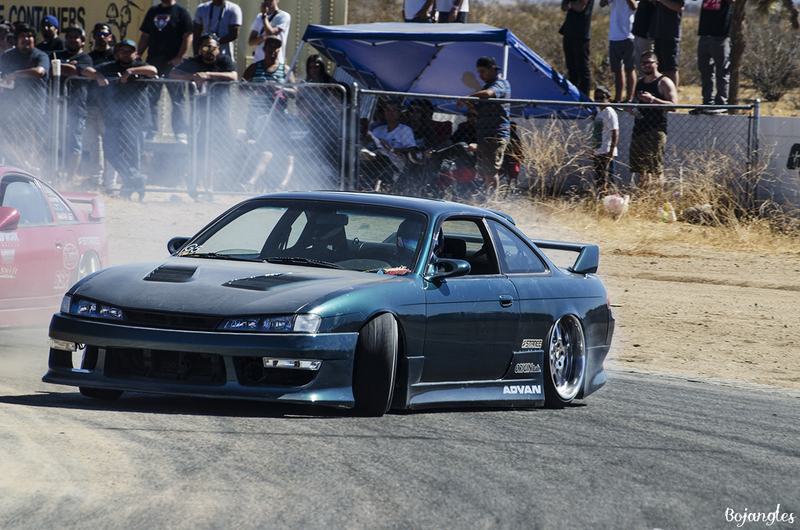 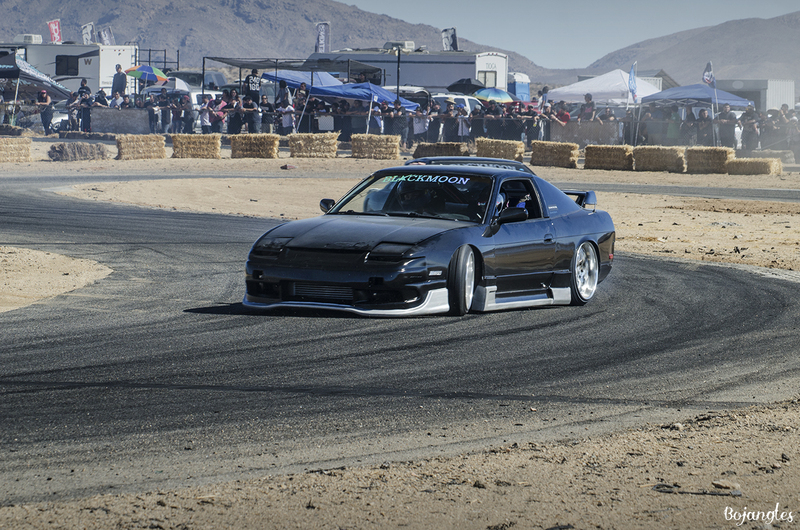 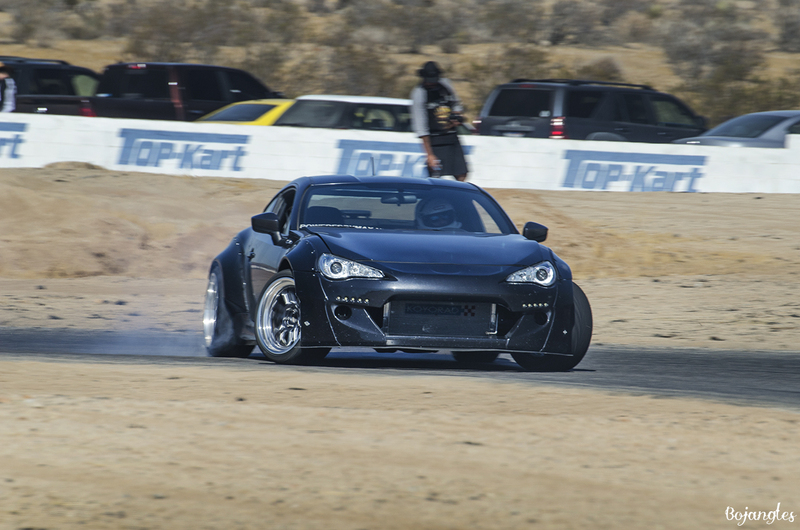 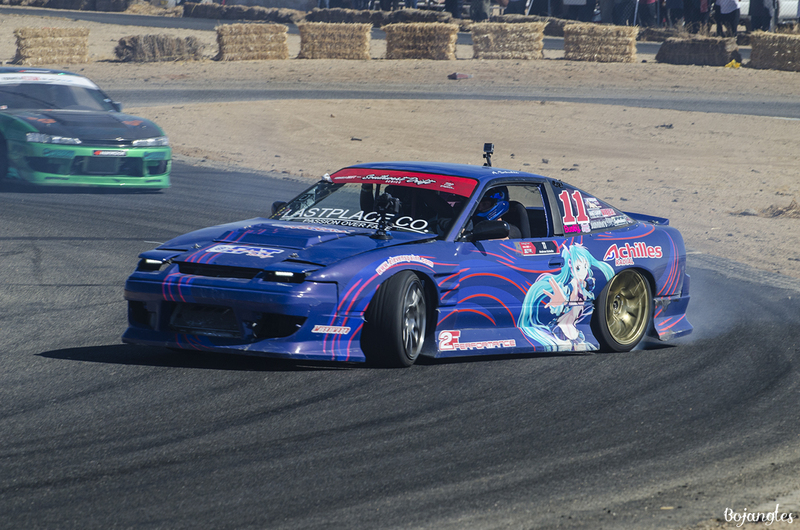 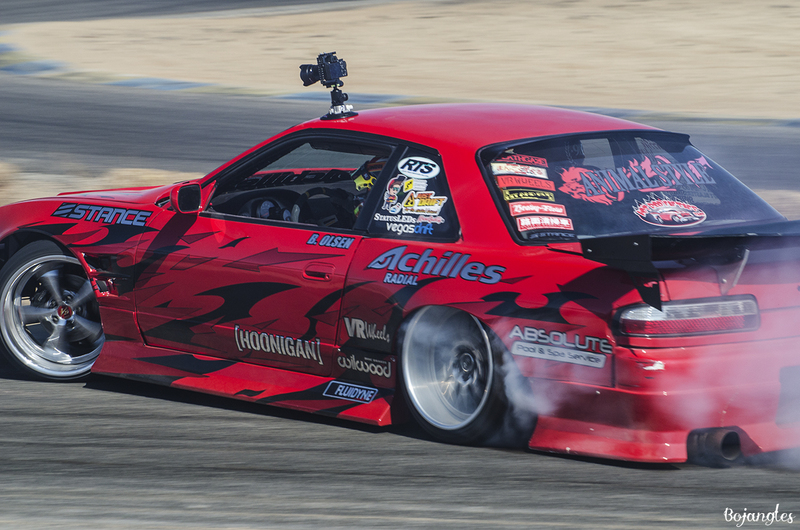 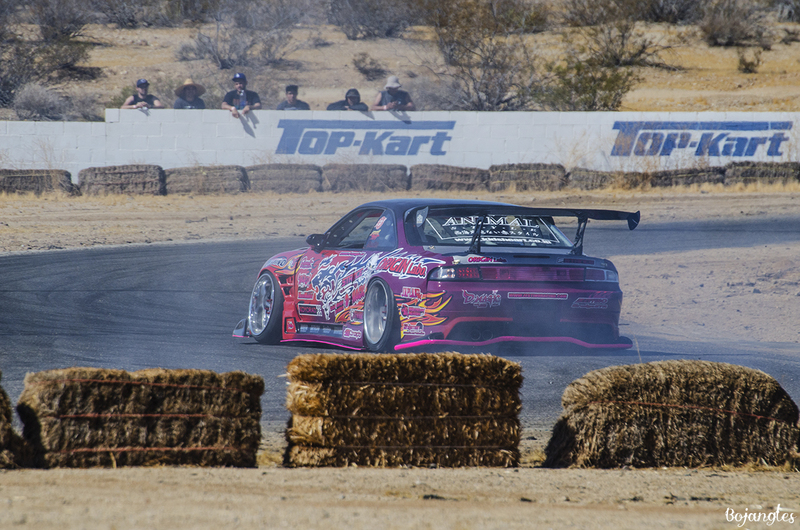 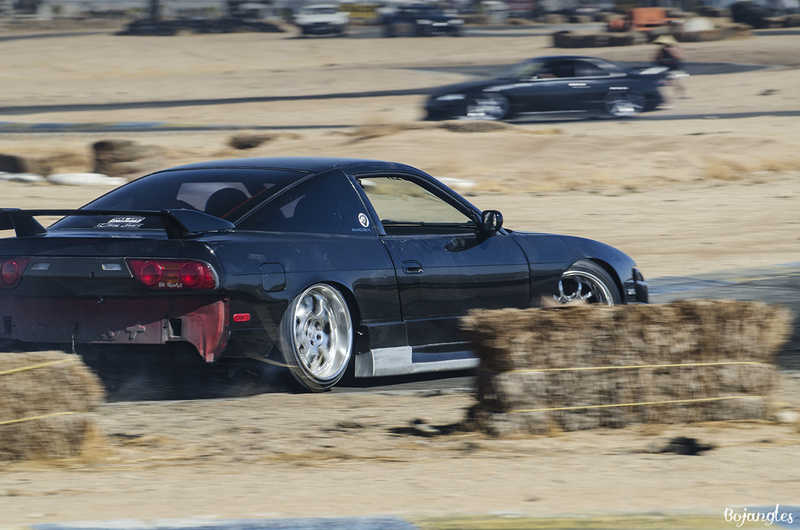 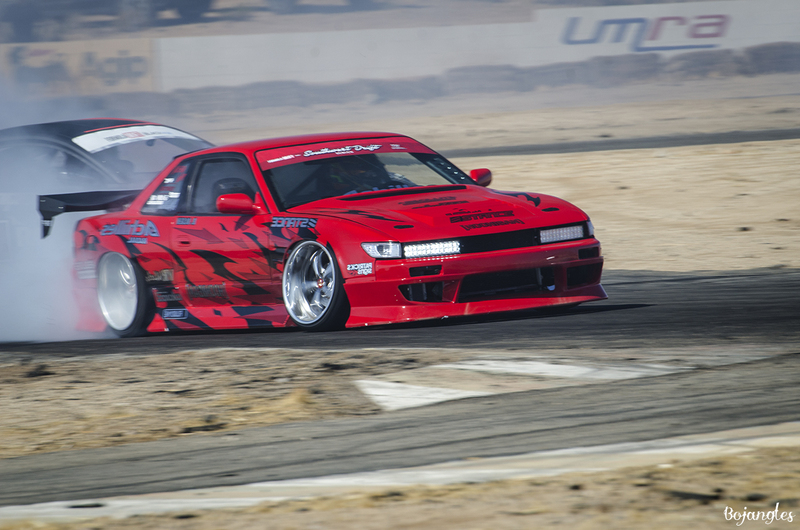 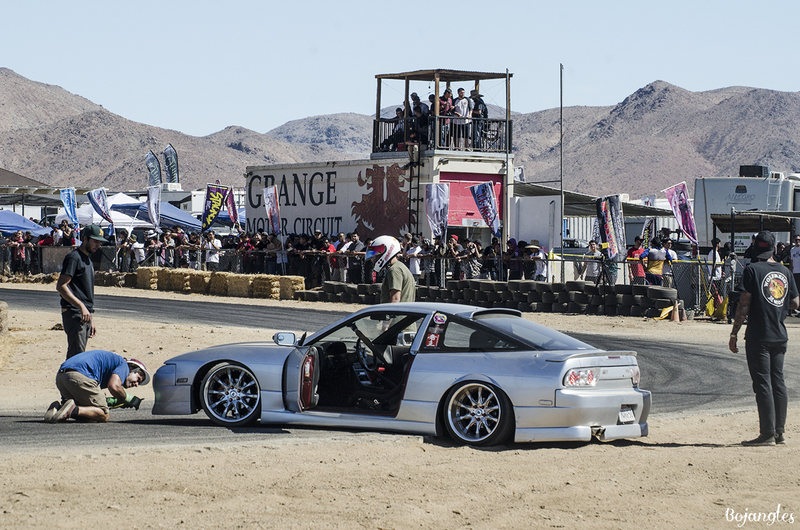 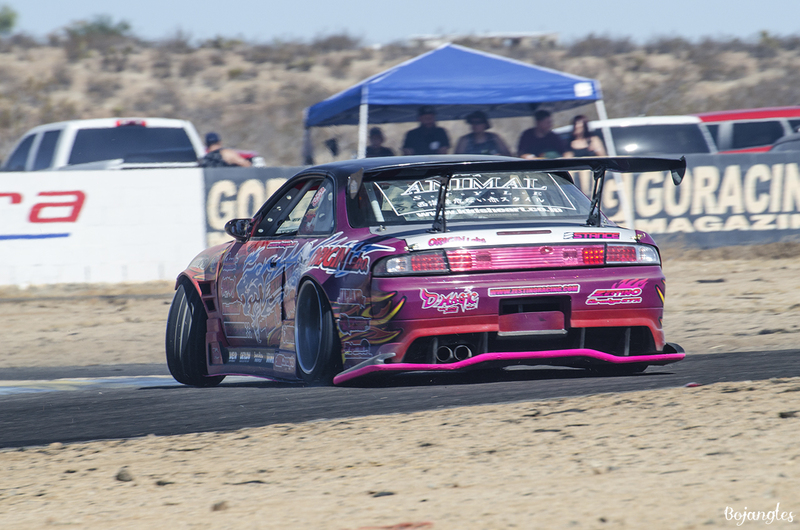 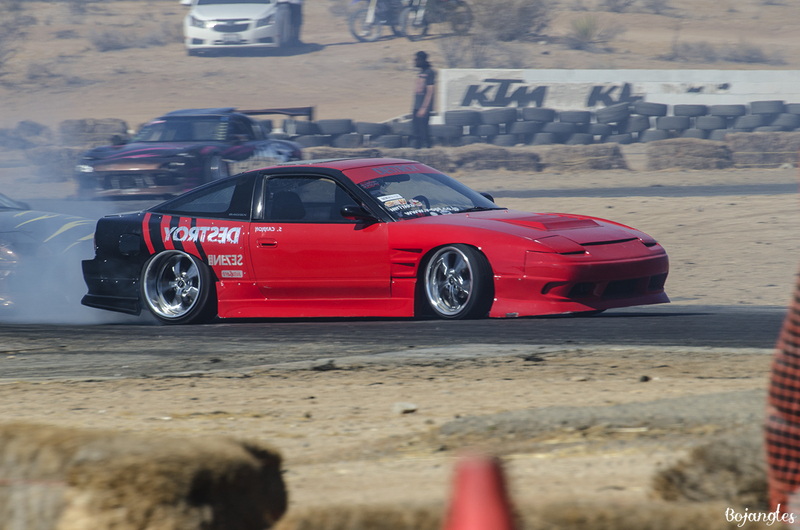 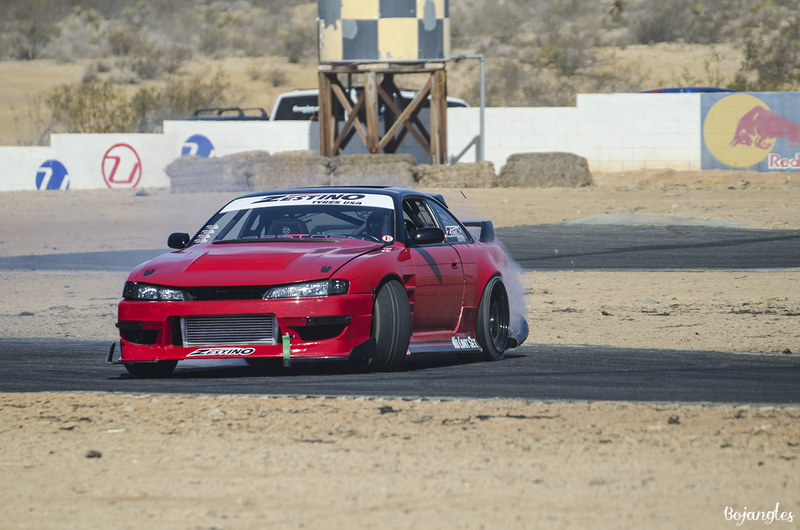 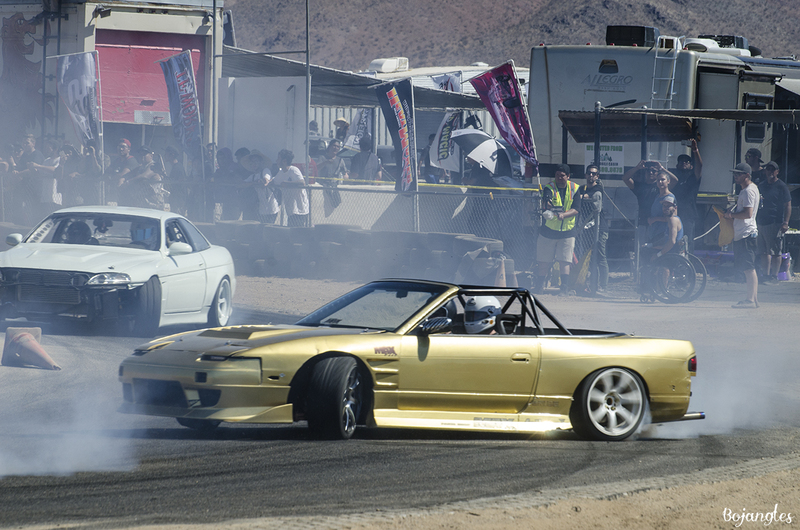 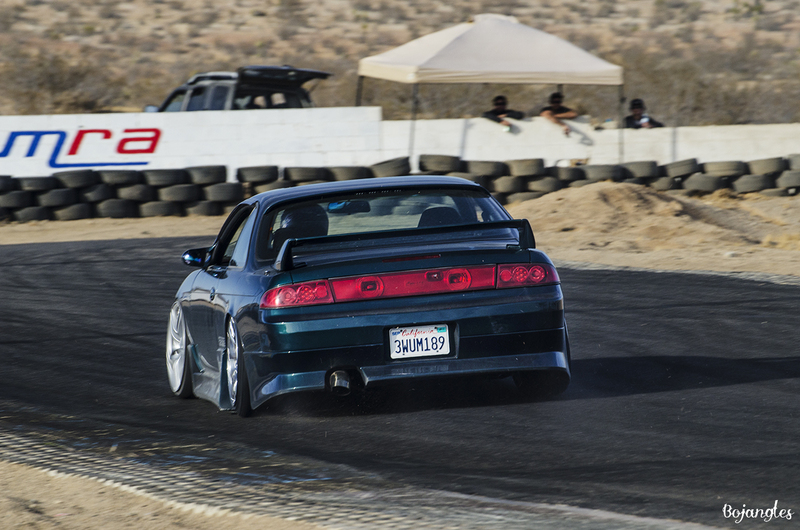 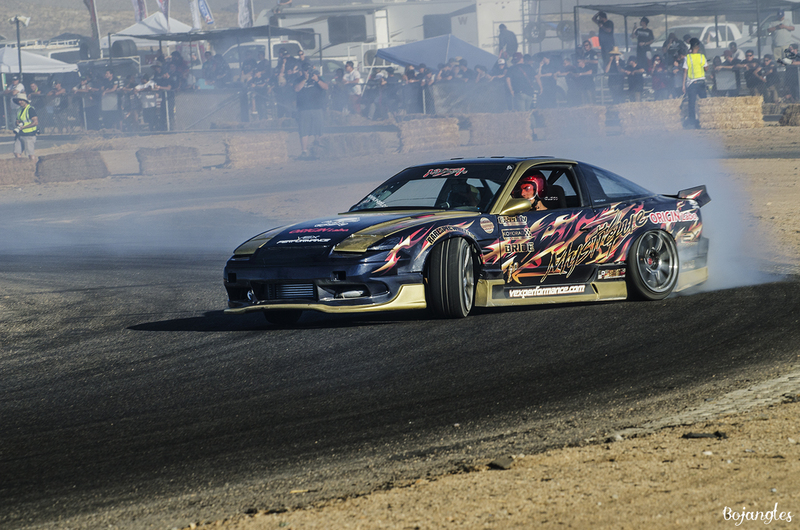 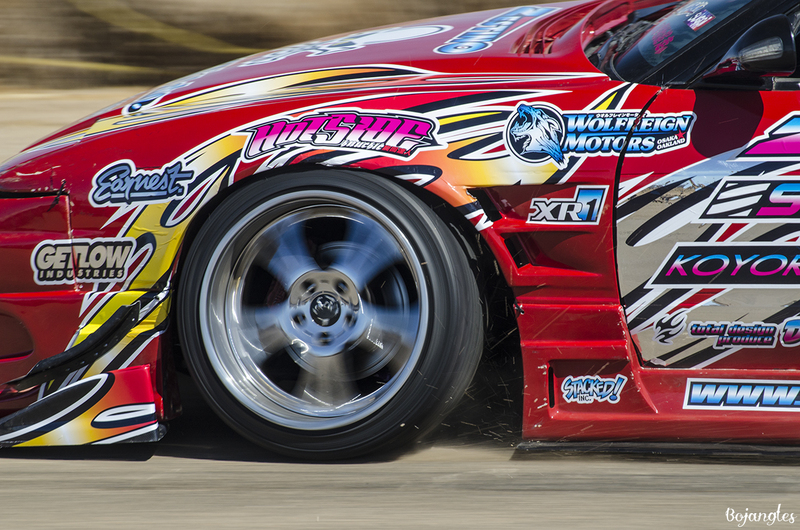 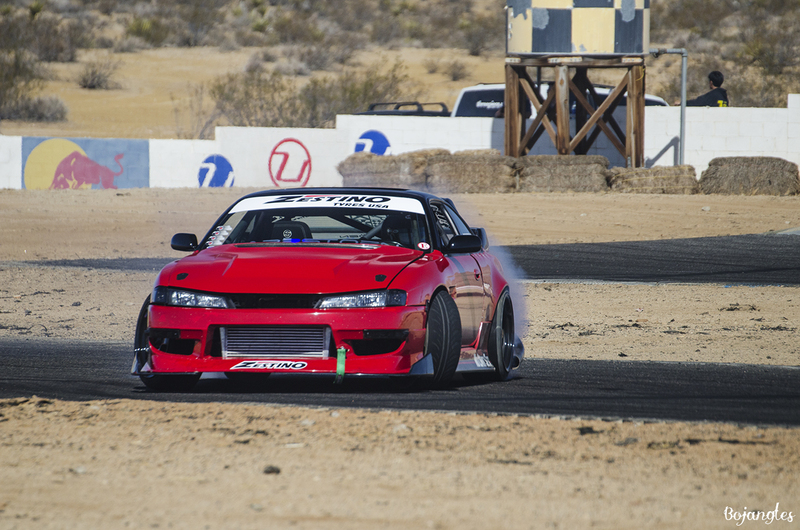 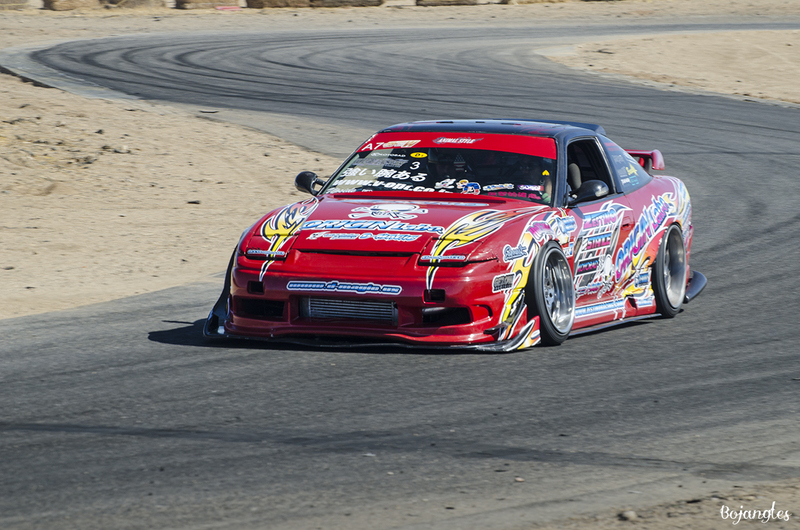 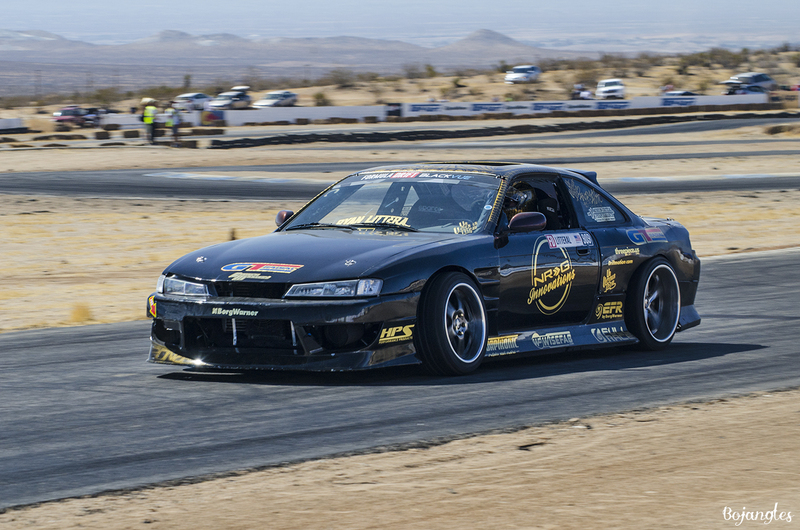 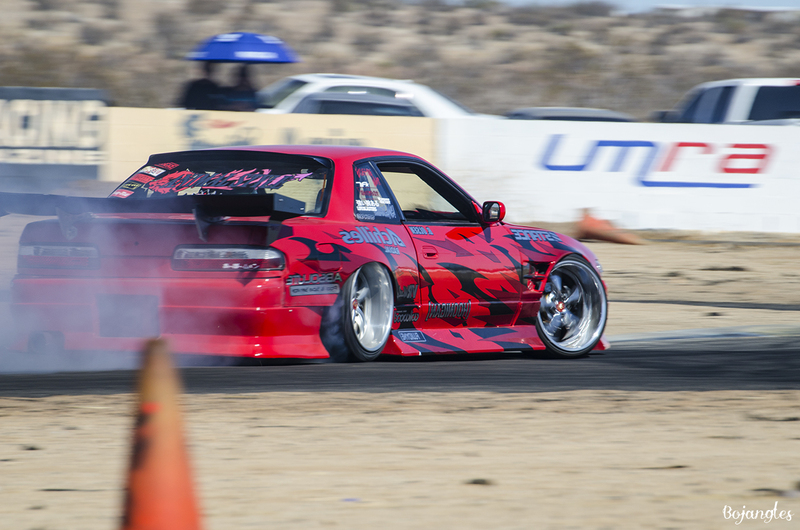 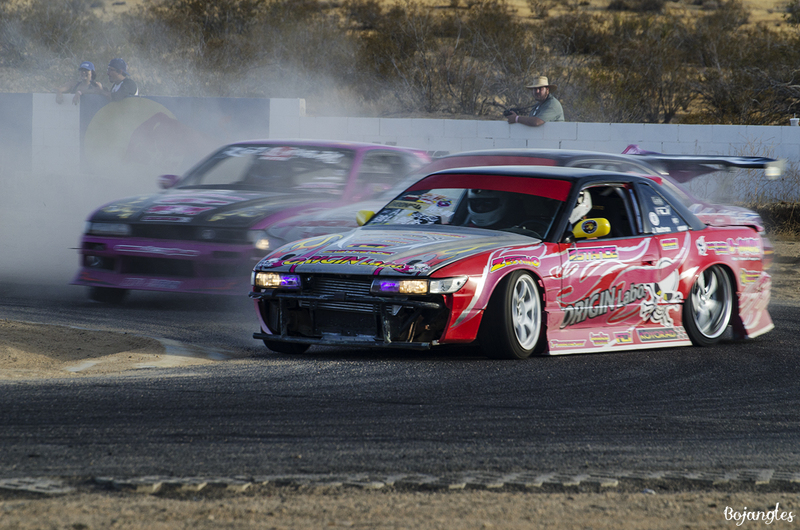 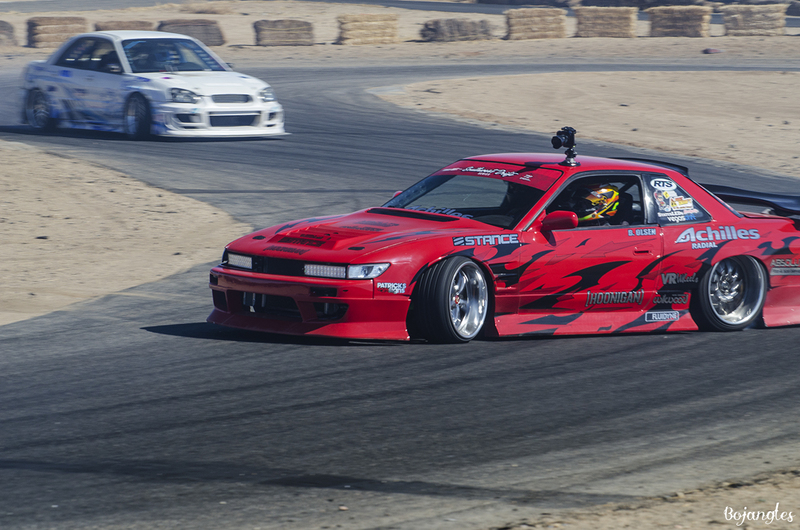 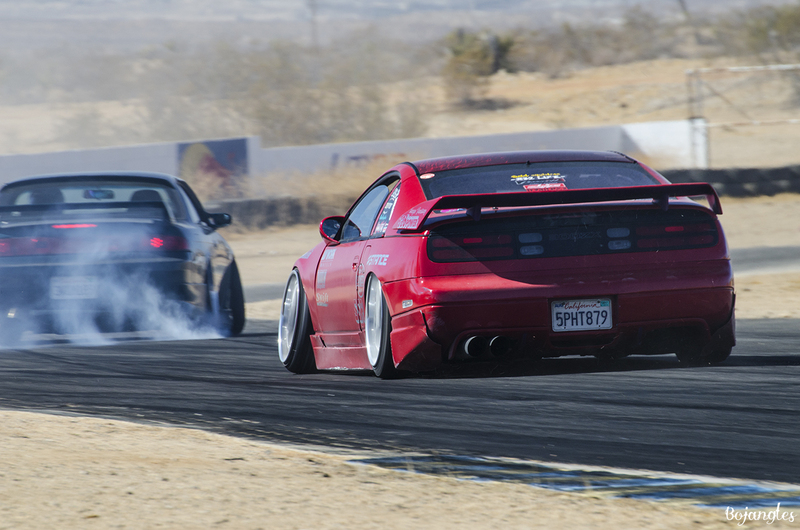 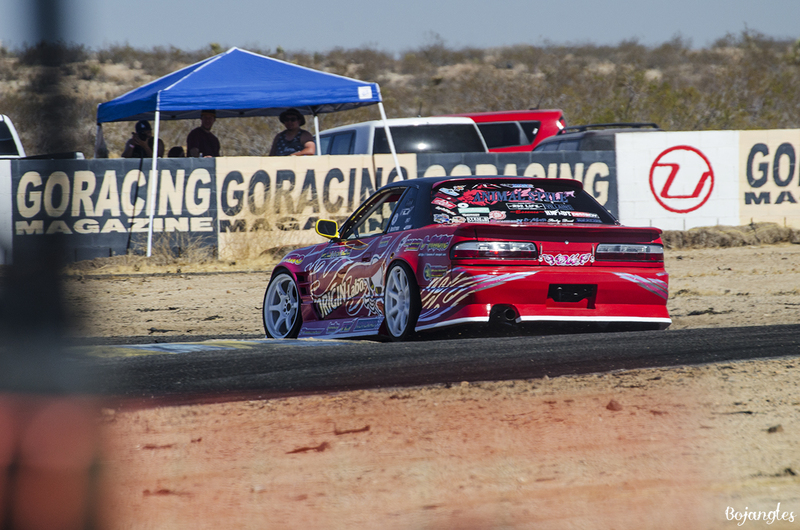 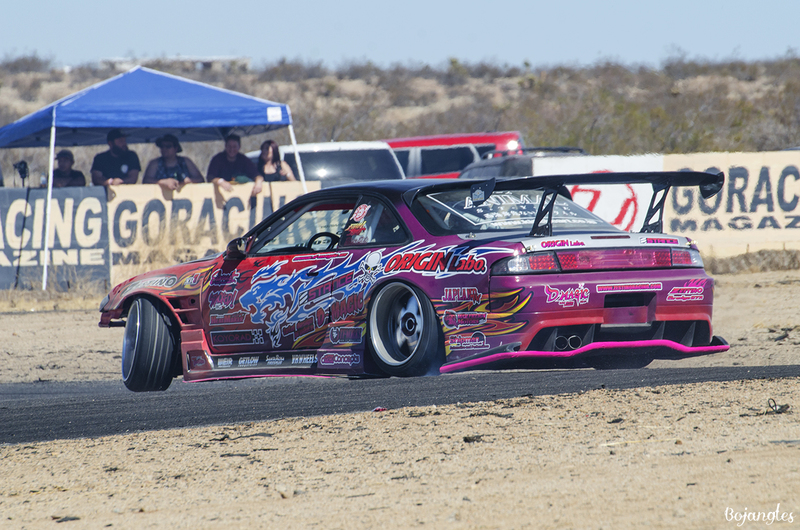 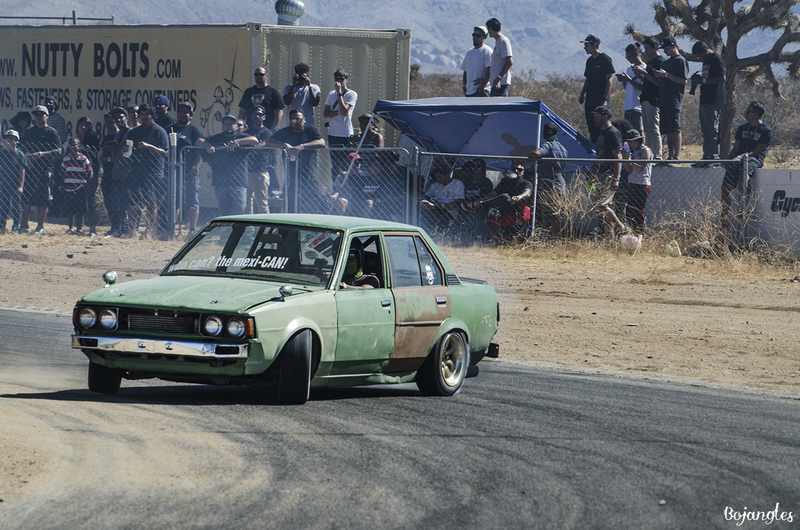 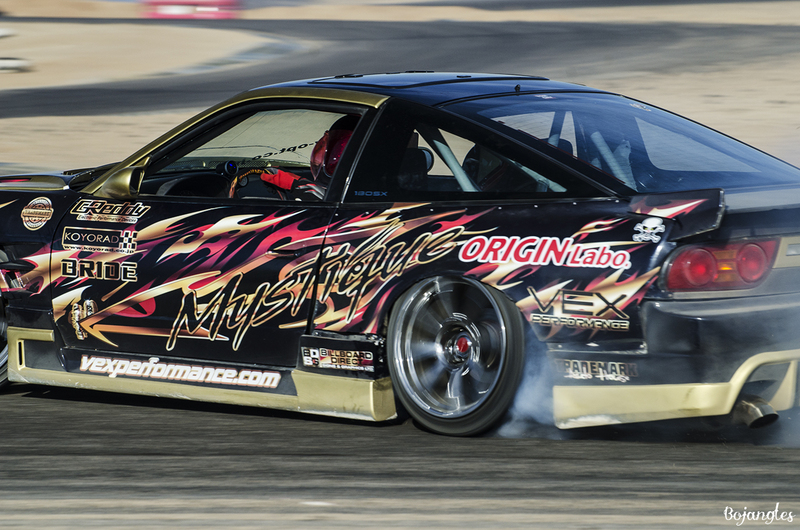 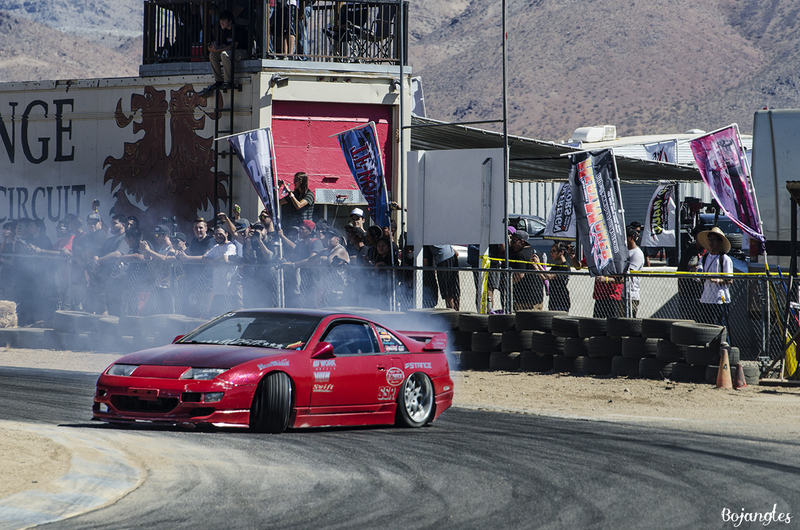 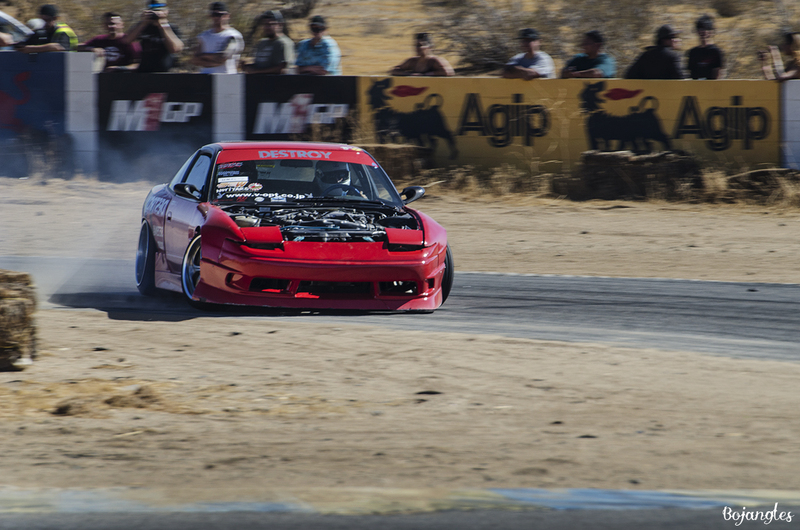 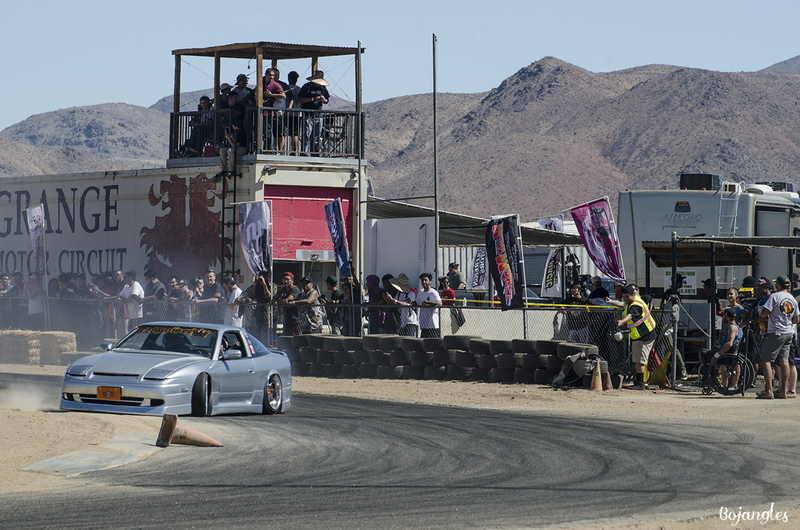 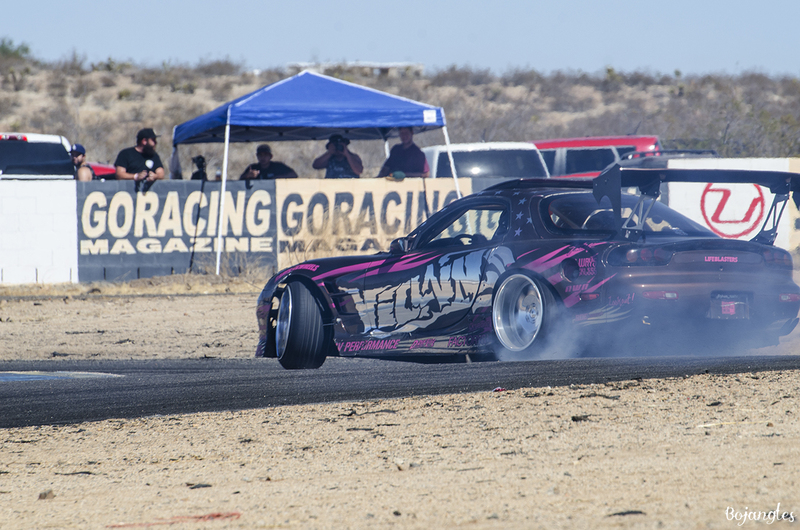 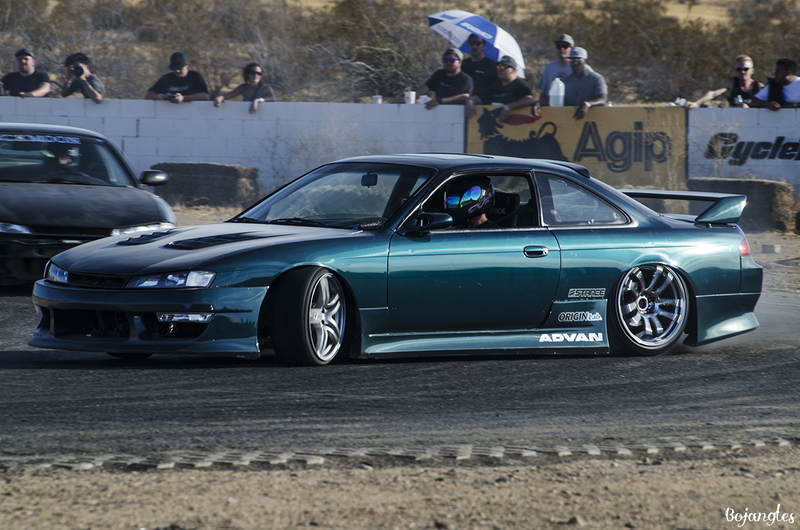 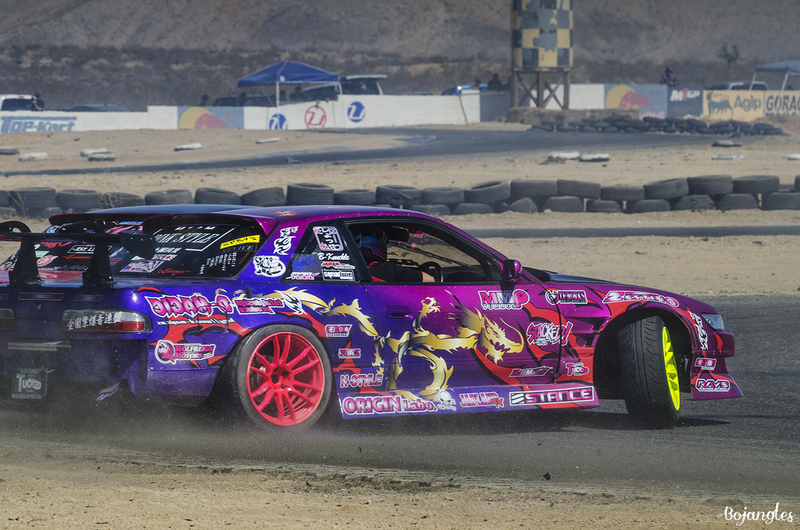 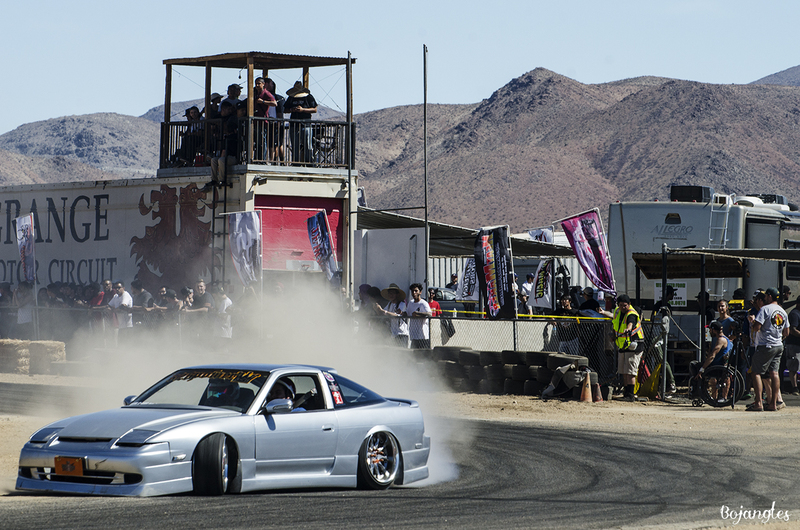 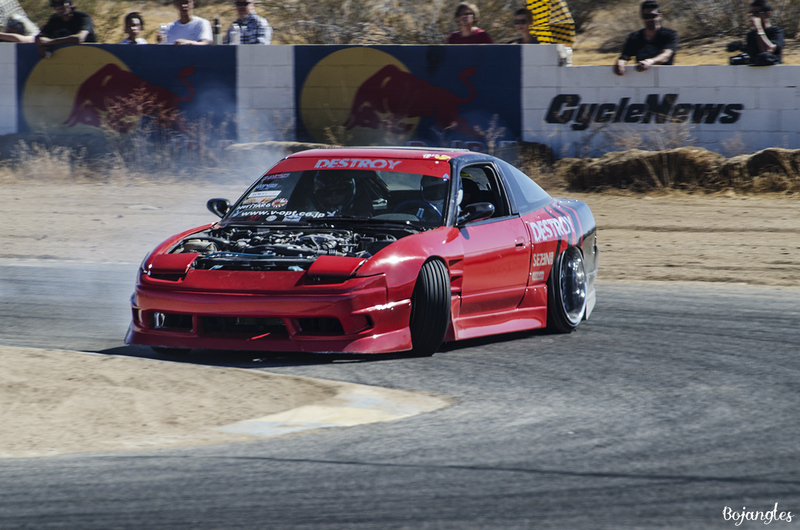 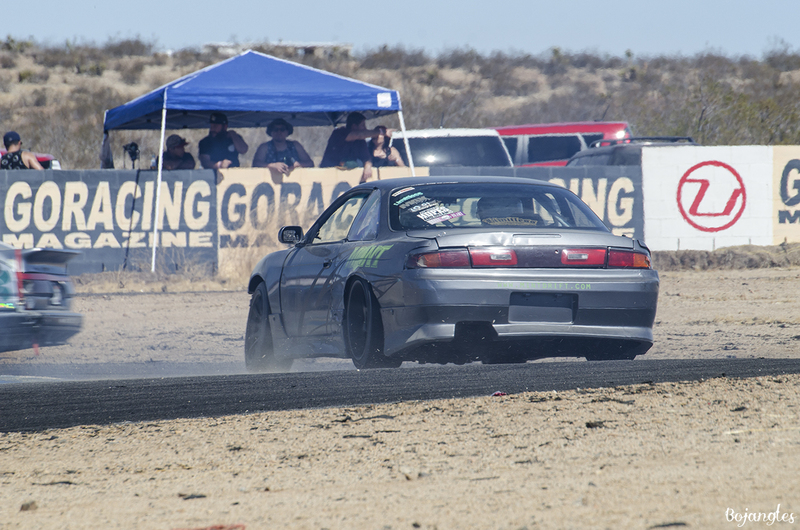 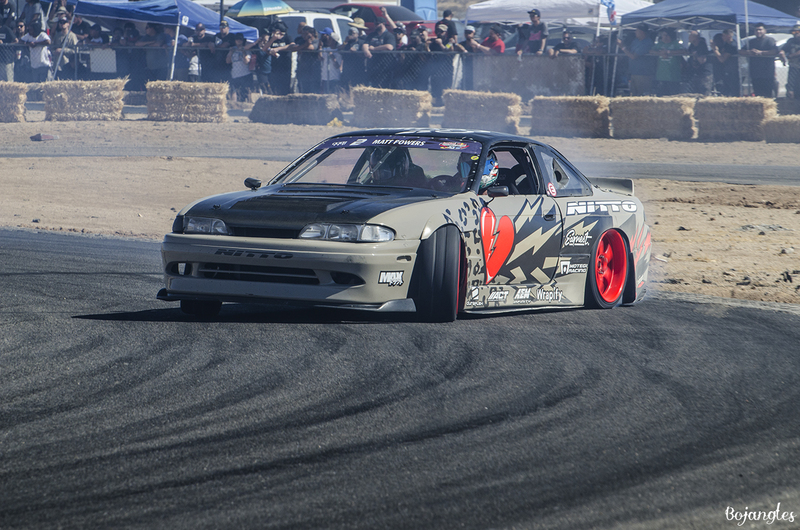 I was also stoked to watch and capture Naoki Nakamura drift in person especially coming from Japan to Southern California to drift. 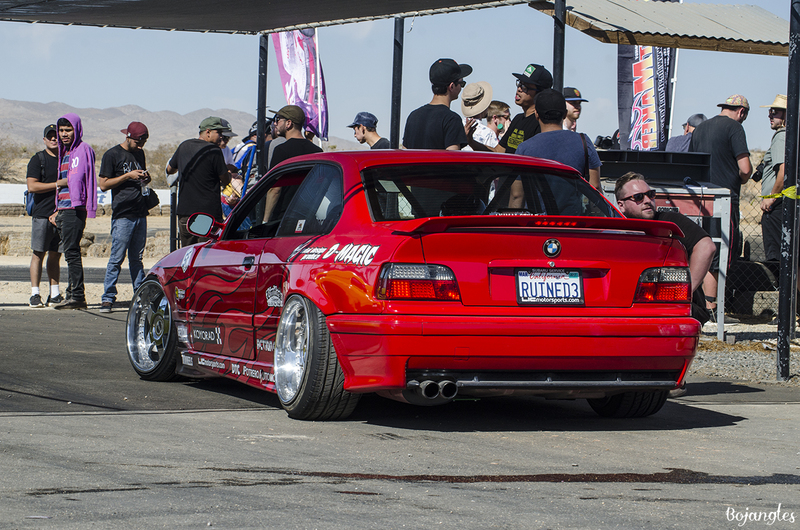 I’m sure it was a special day for everyone out there. 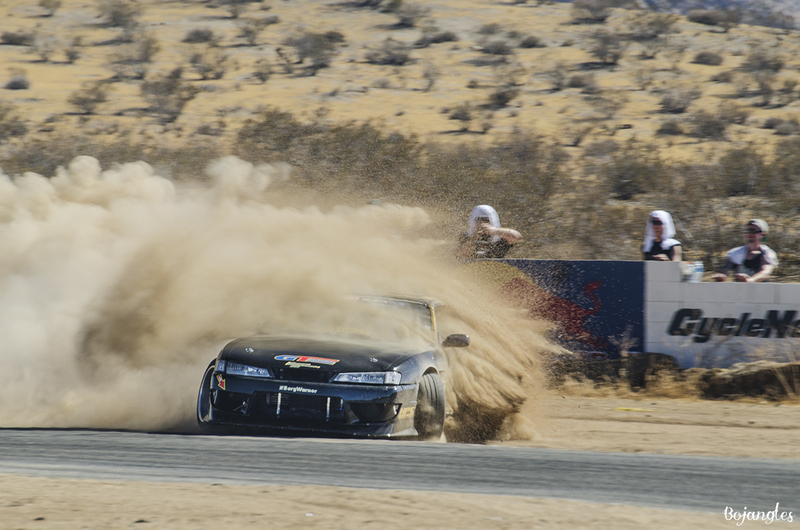 Honestly I took a lot of photos and wanted to put all the ones I picked out of the set and toss it here on my blog to share with everyone. 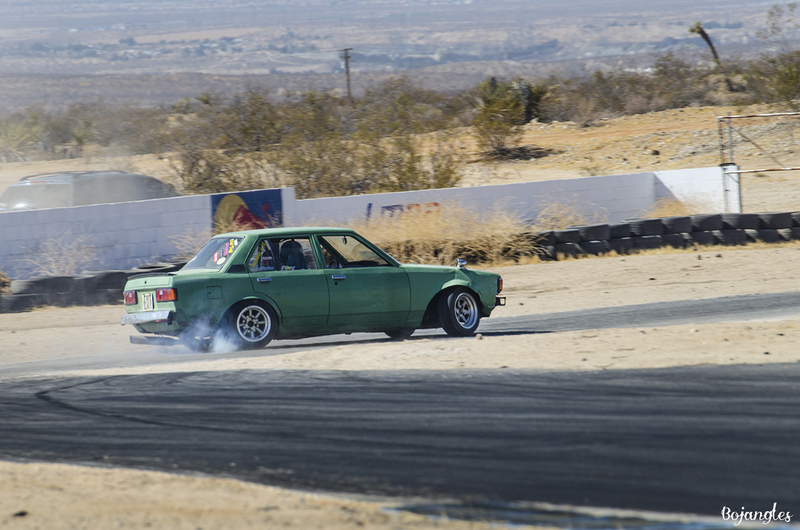 I’m going to split my coverage into three parts. 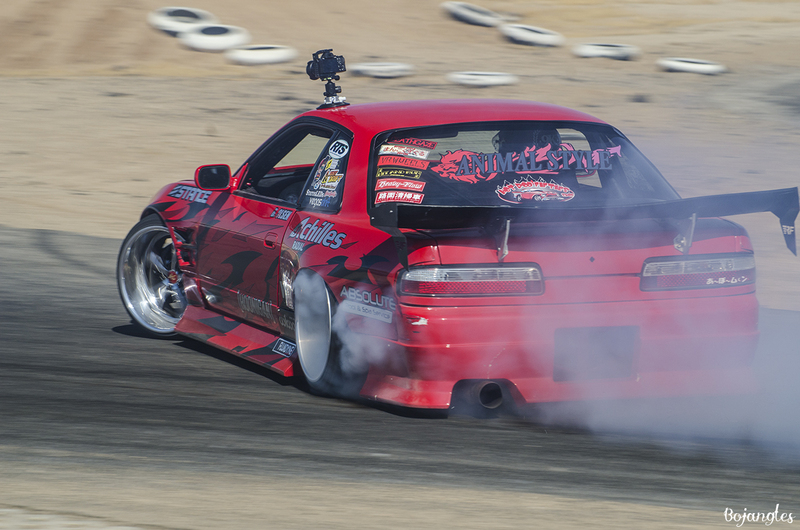 I didn’t take many photos from the pit. 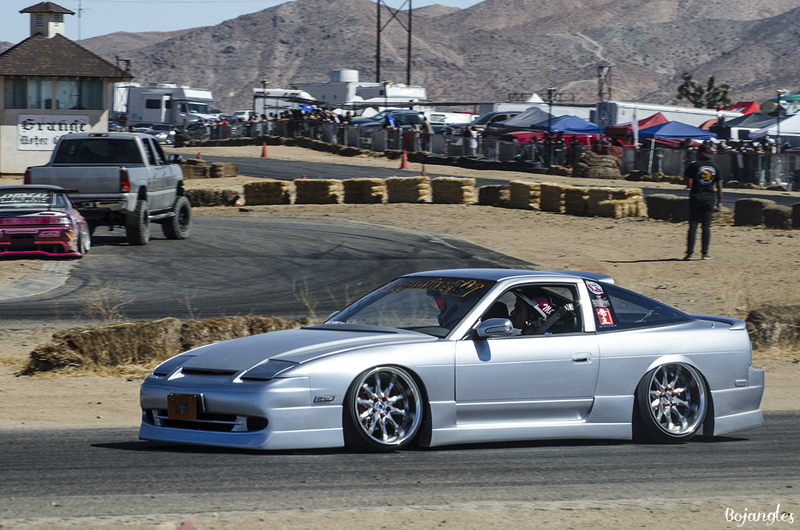 Because I was enjoying all the cars that were there and going around checking them out. 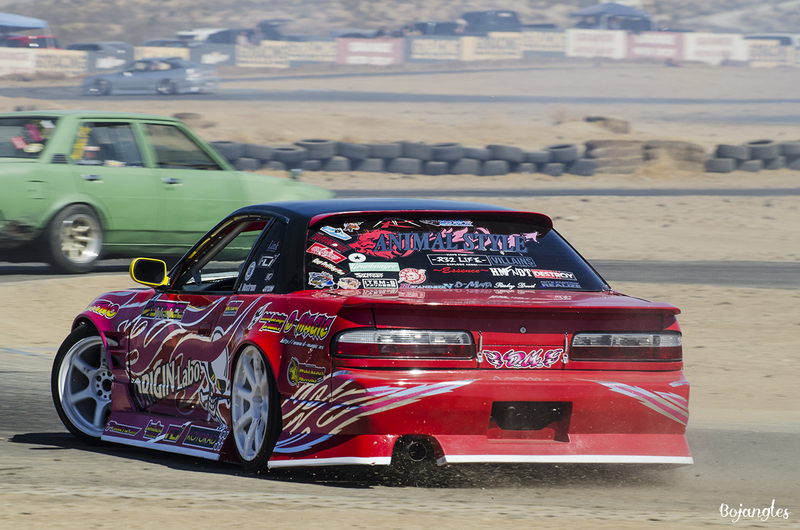 Nakamura getting down with Animal Style! 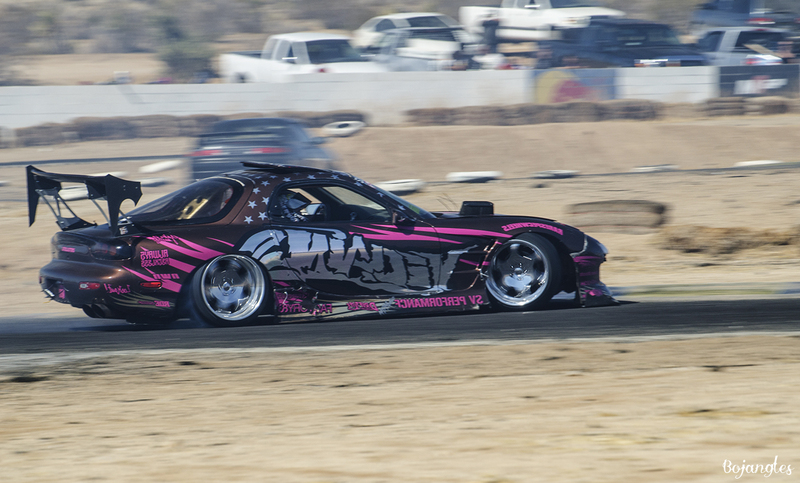 Aaron Leavitt Aka Sidewayshatch made his way from Washington. 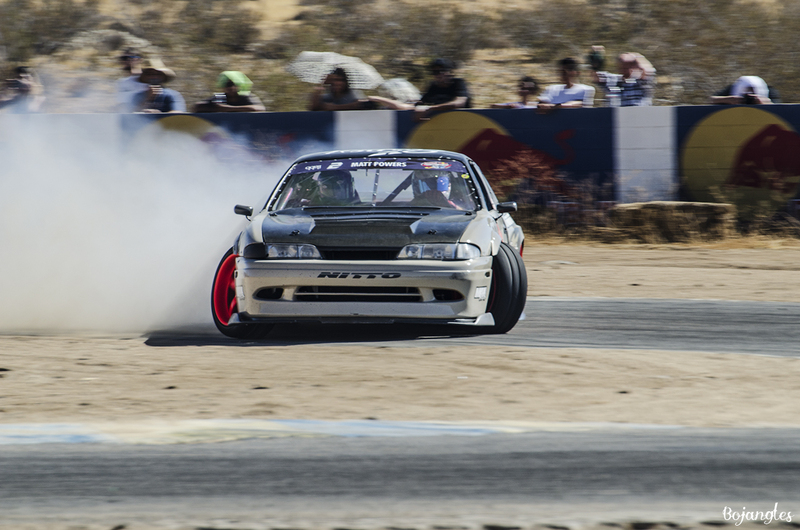 Blake Olsen from las Vegas. 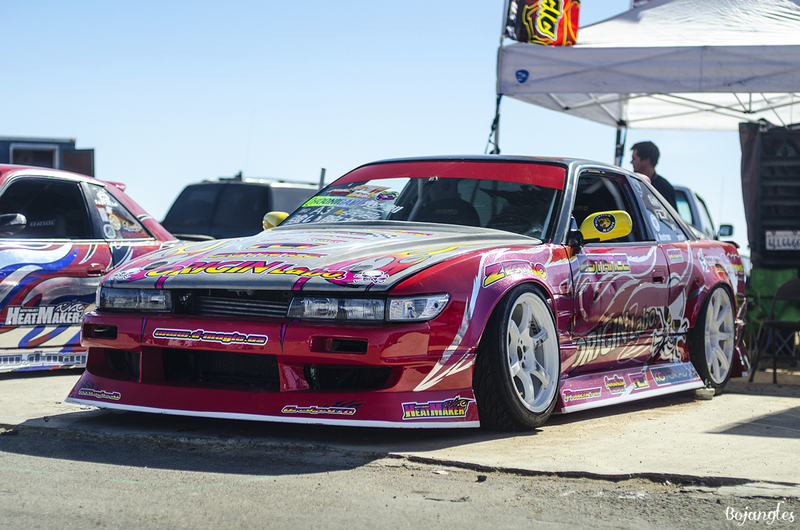 This was one of many cars I was stoked to see in person and on the track. 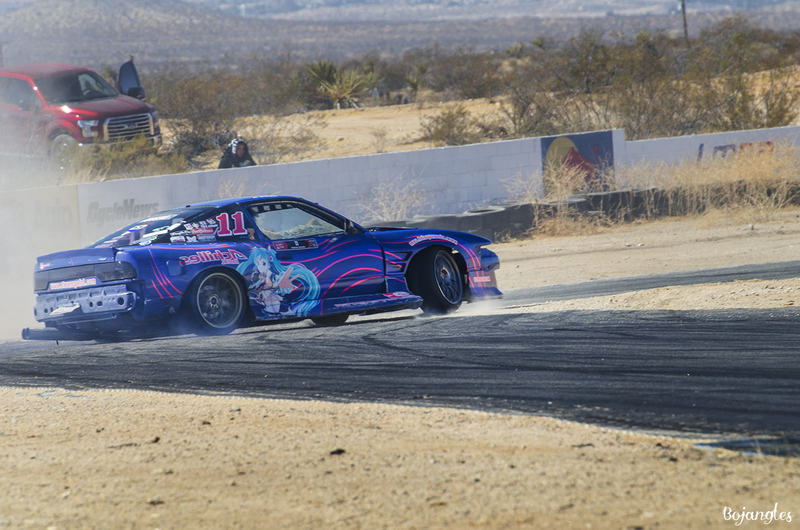 Glad I was able to capture some action shots of the car. 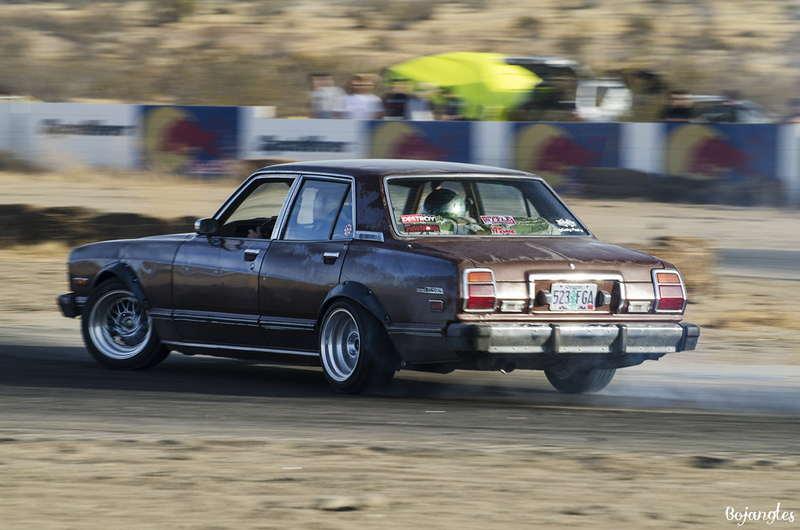 Roy latest build, last time I saw him was in the bay area and when he had his Cressida. 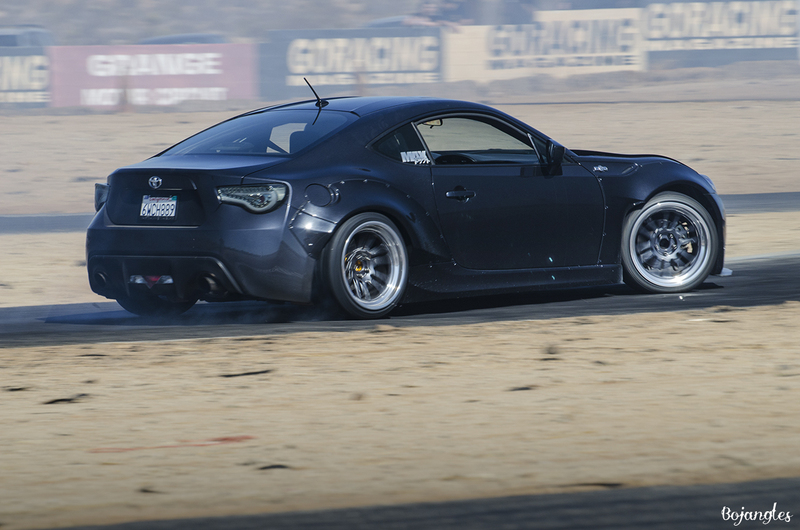 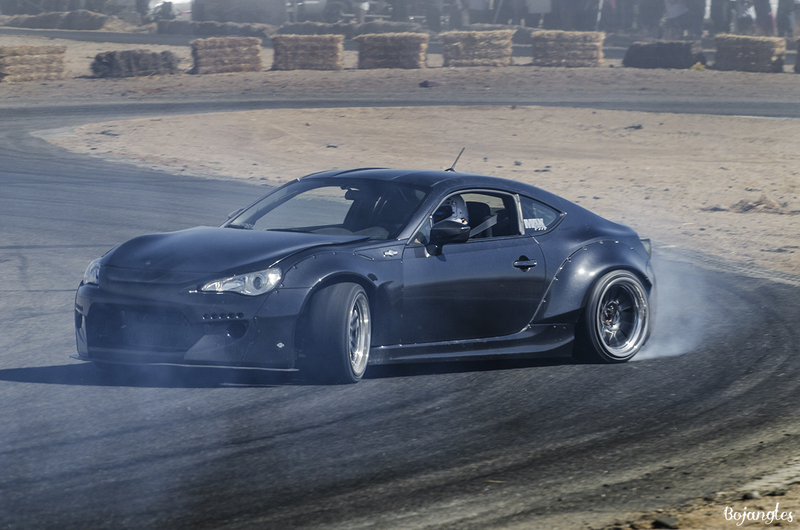 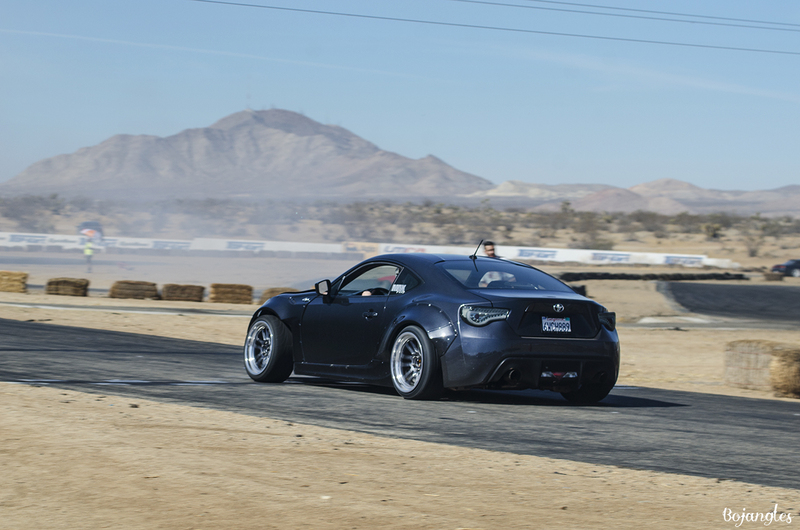 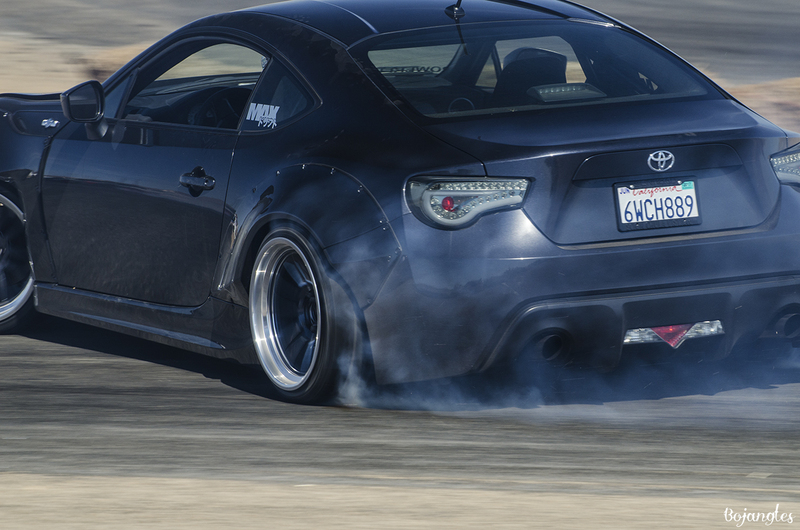 Parts Shop Max FRS looks so good on and off the track! 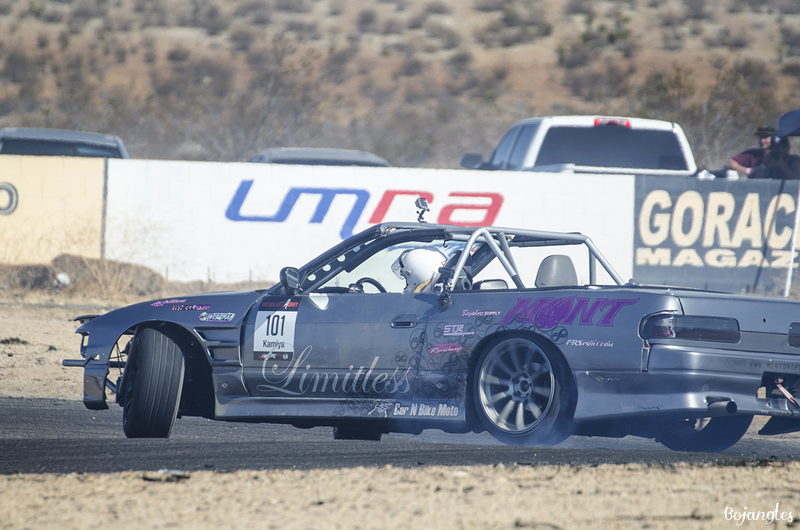 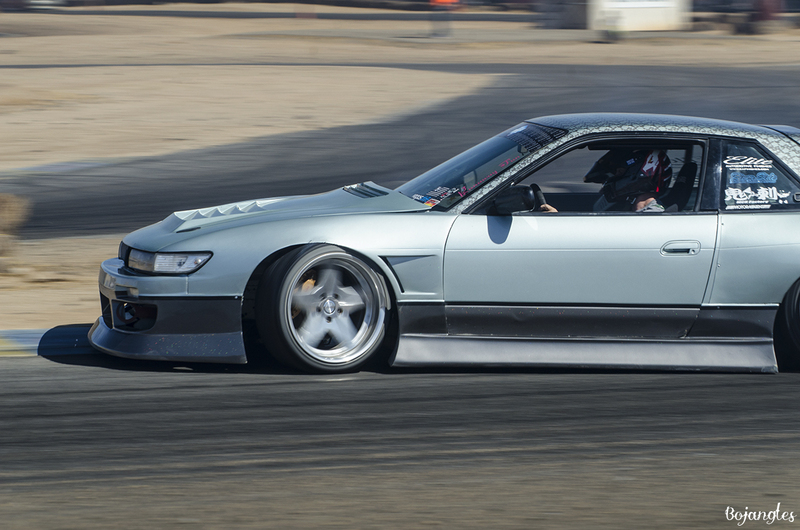 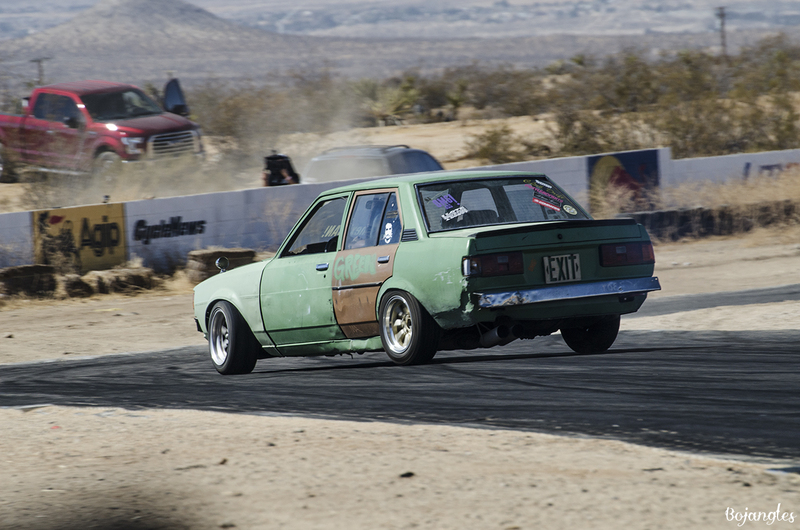 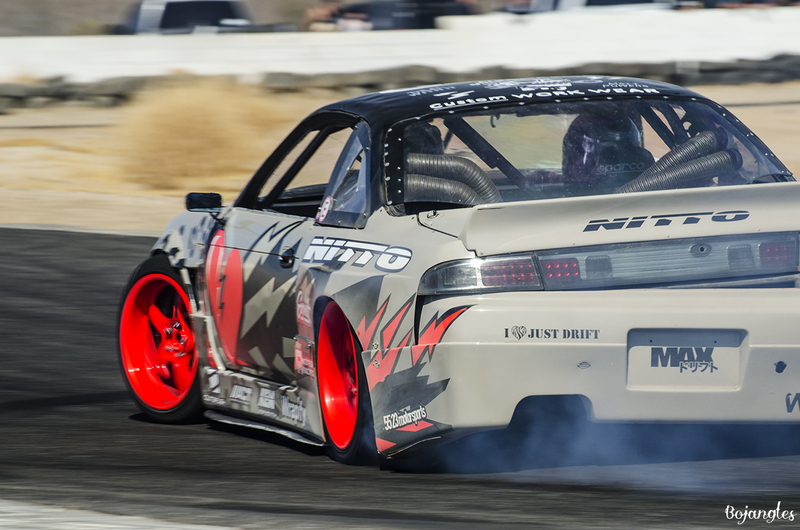 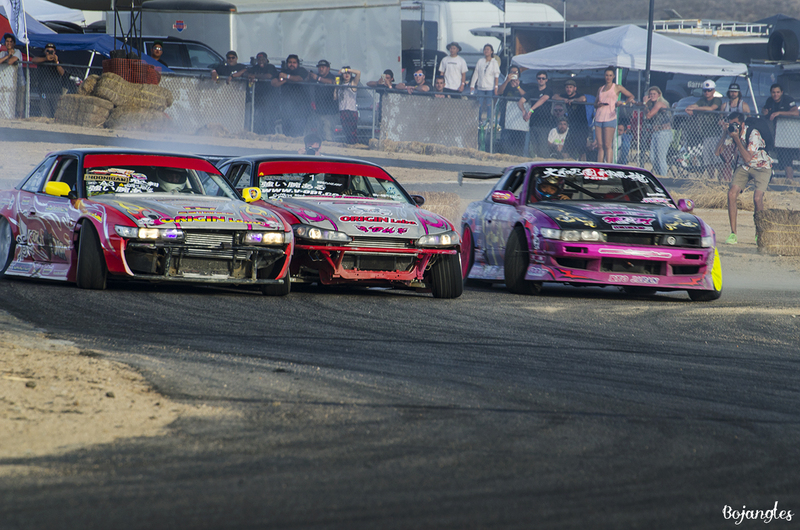 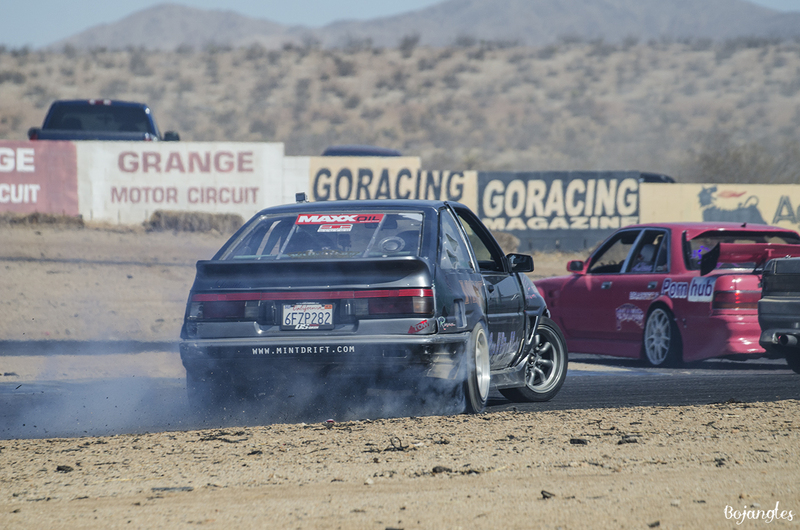 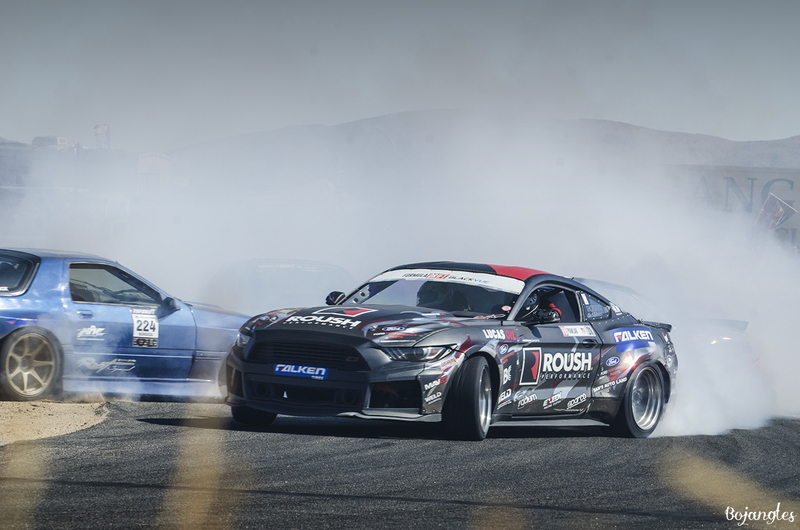 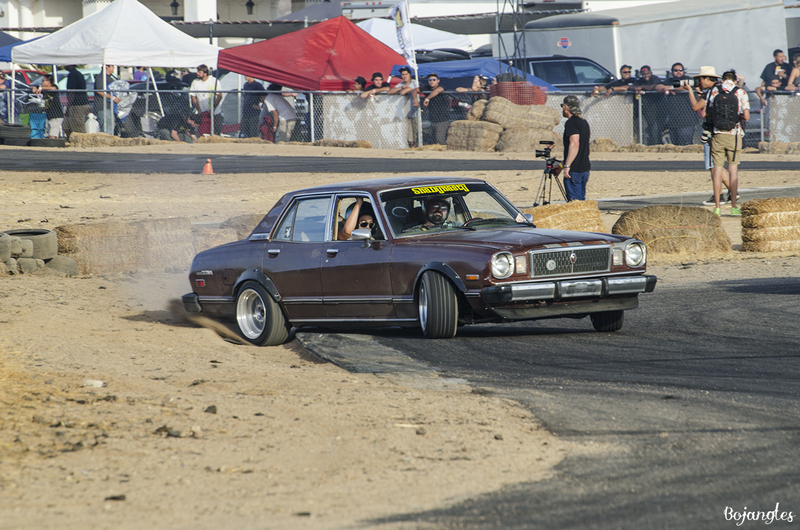 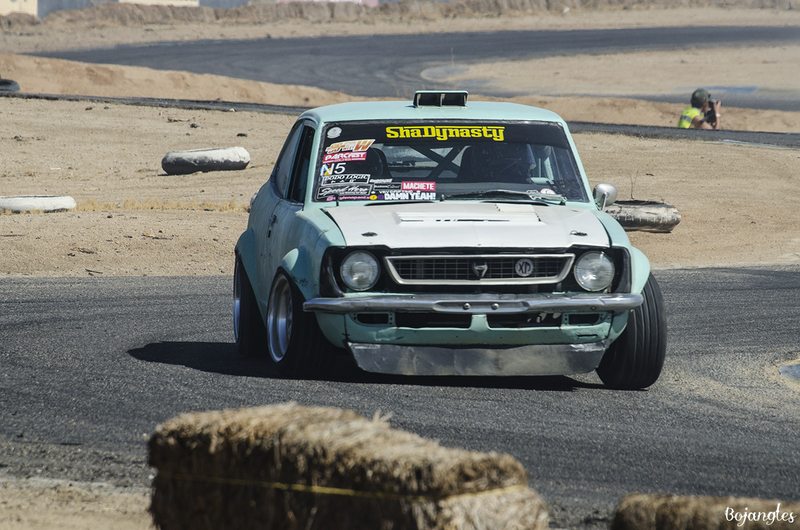 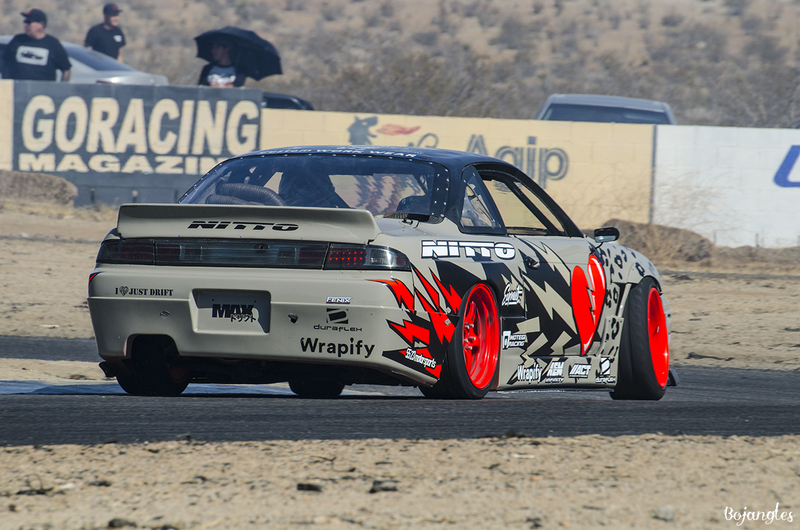 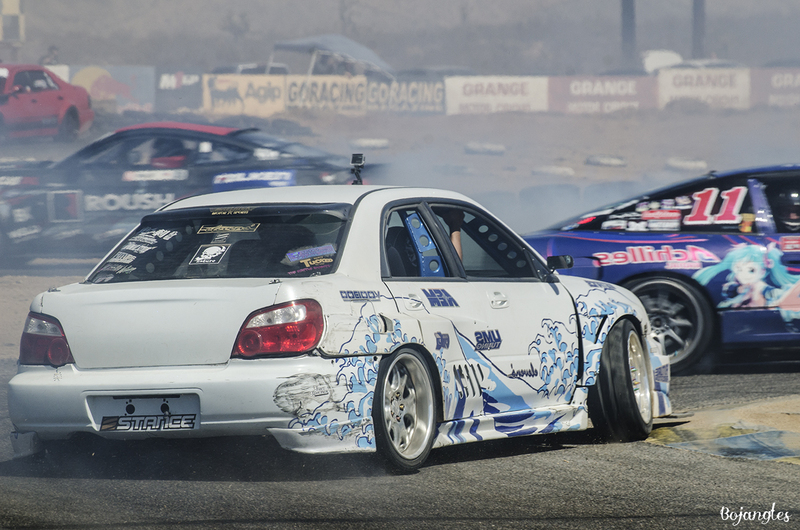 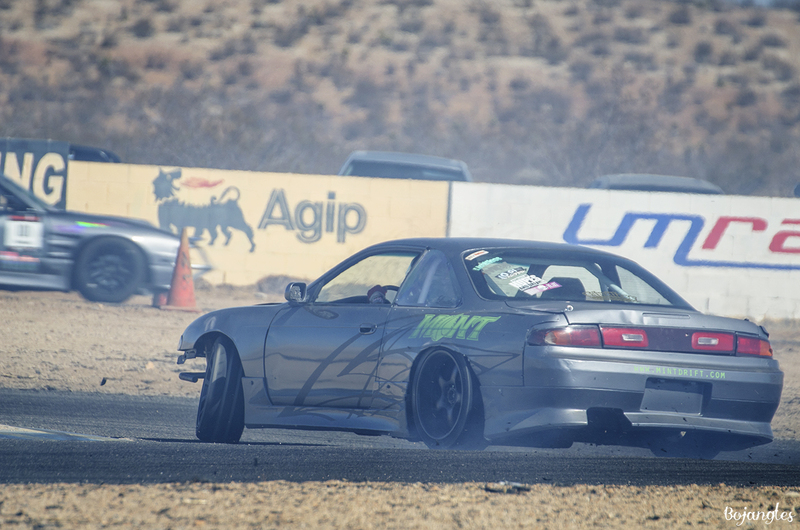 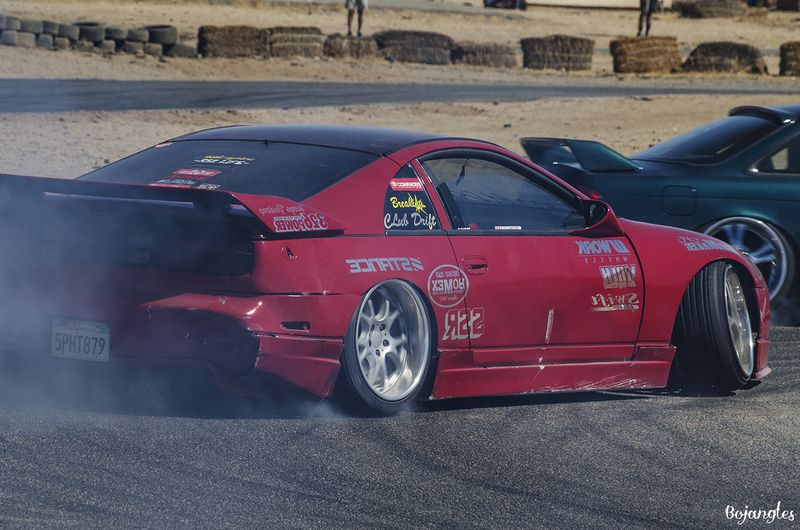 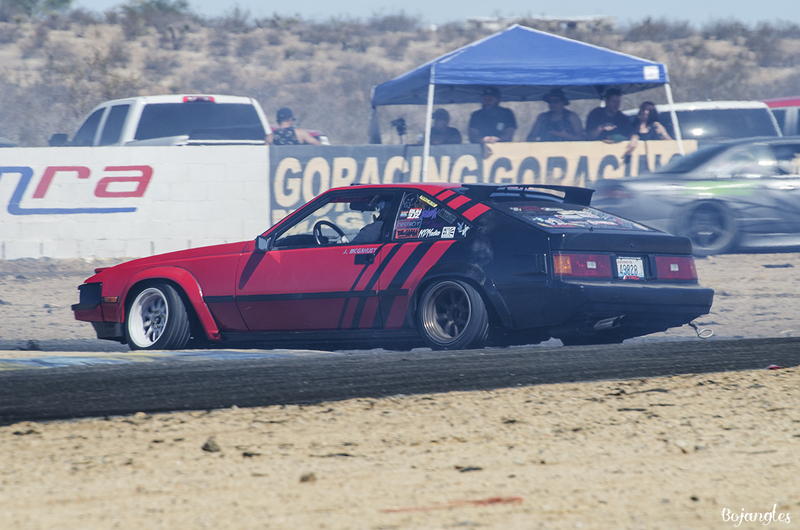 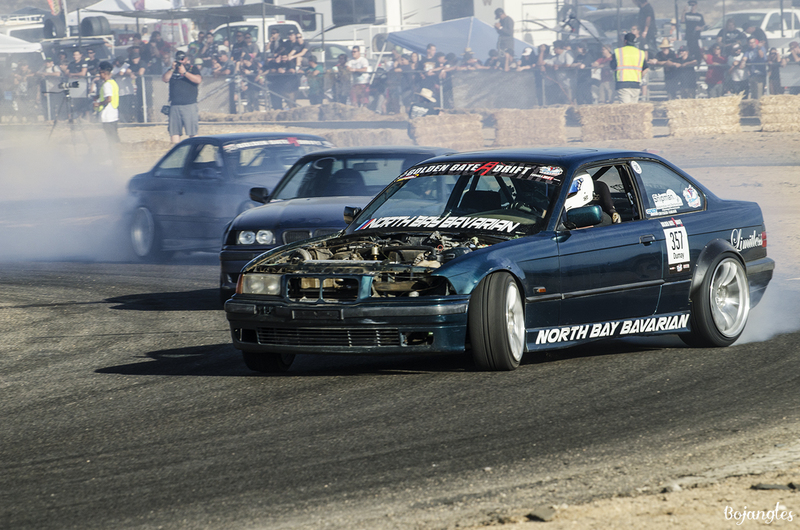 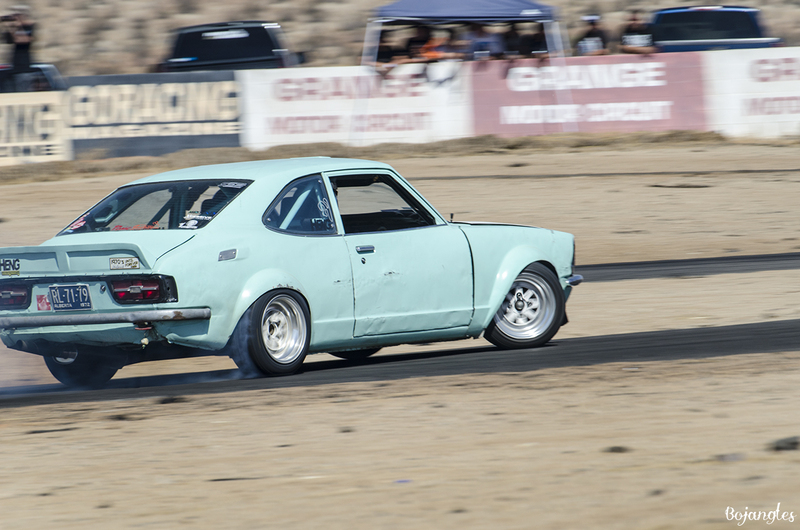 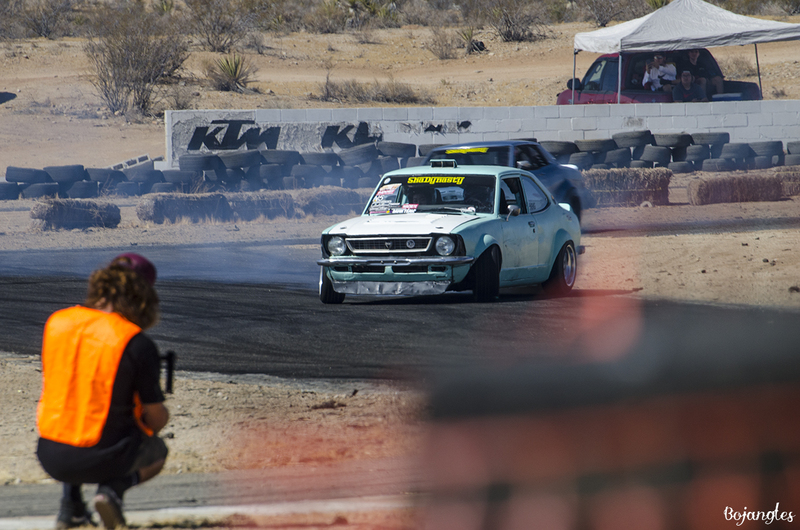 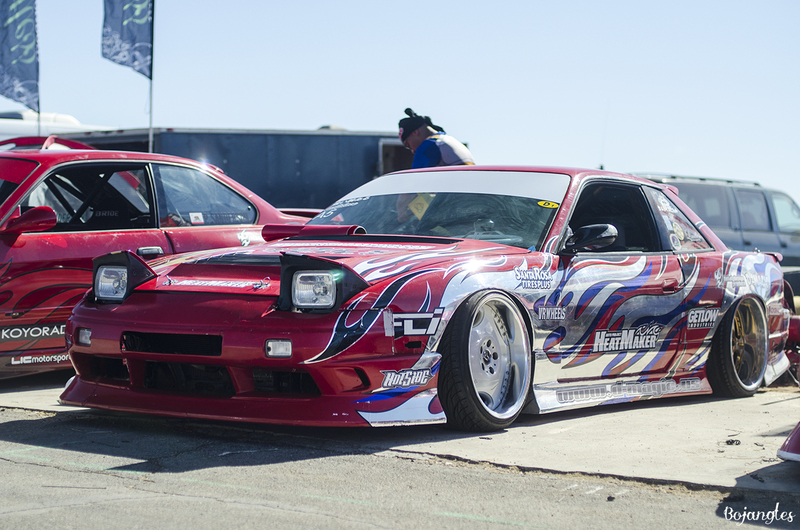 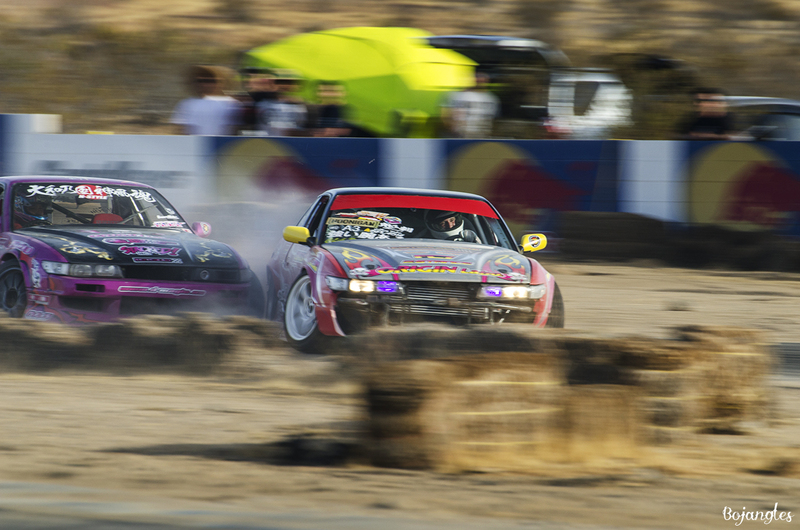 Action shots of Sherry, Alex, and Lawrence of Mint Drift who came down from the Bay area! 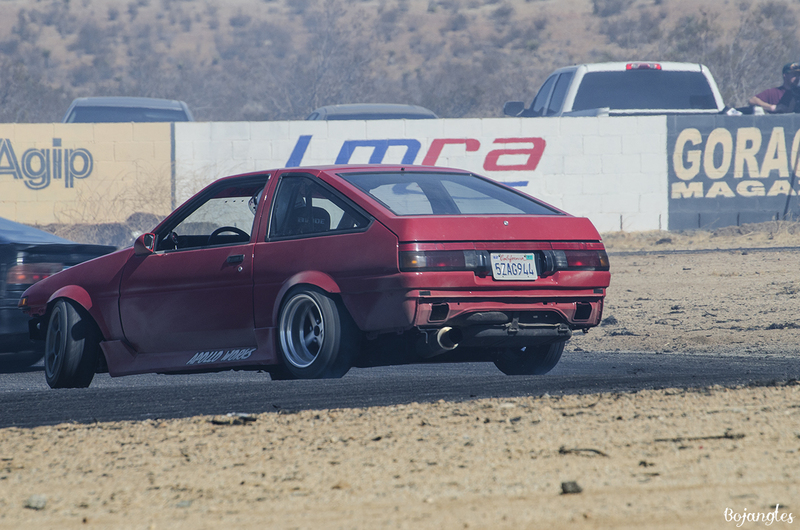 Apollo Works Derryl coming from the Bay Area! 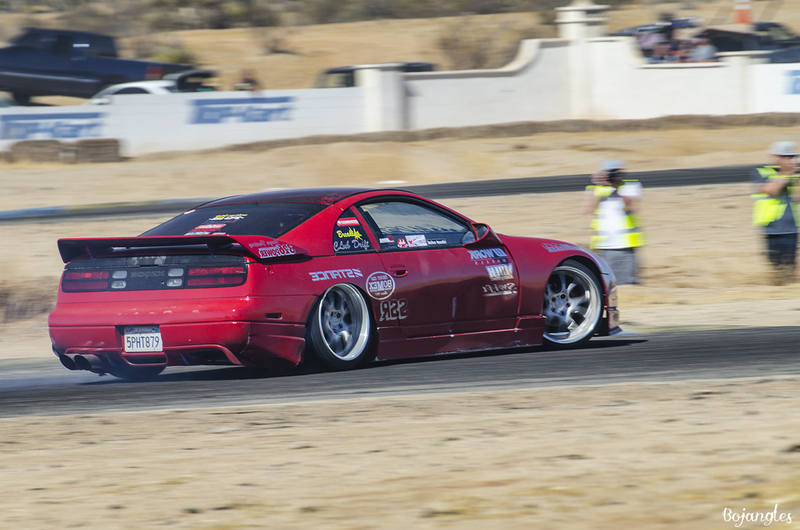 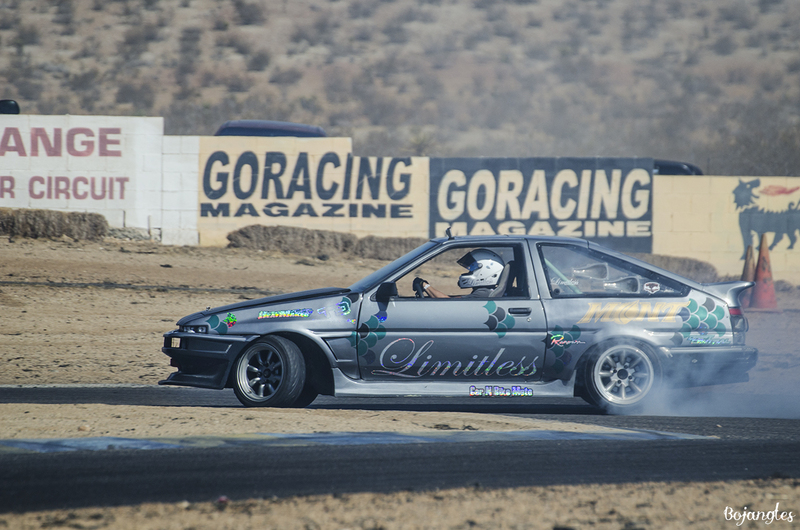 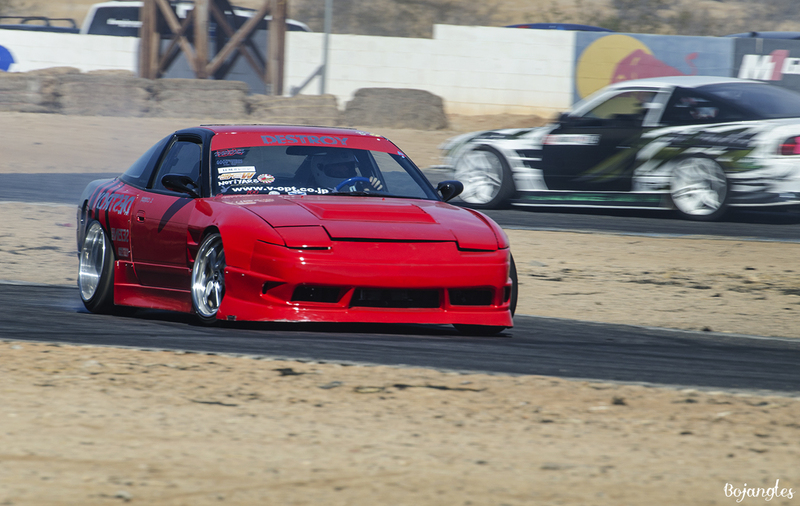 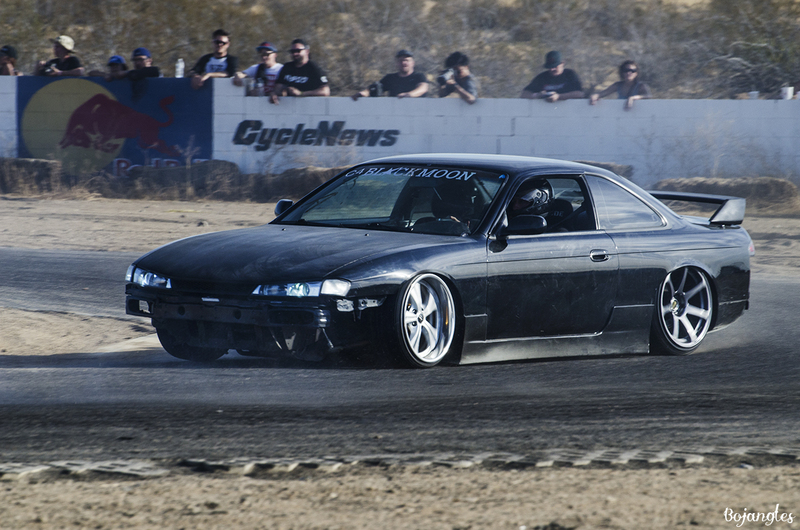 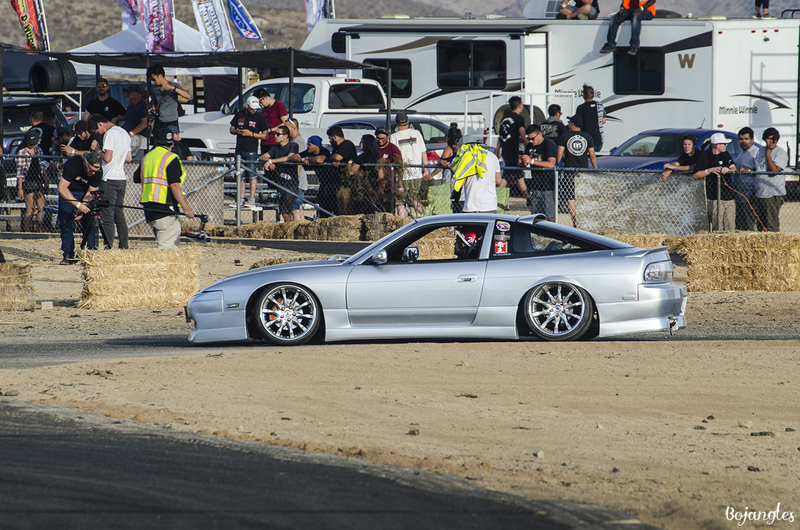 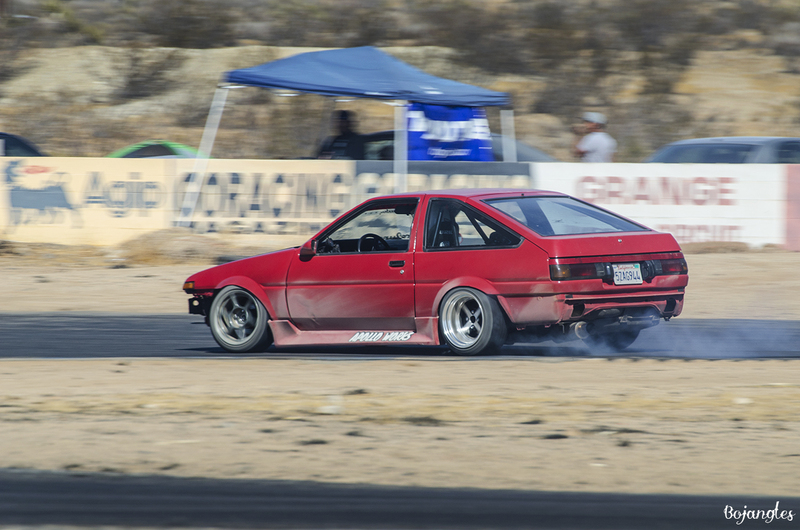 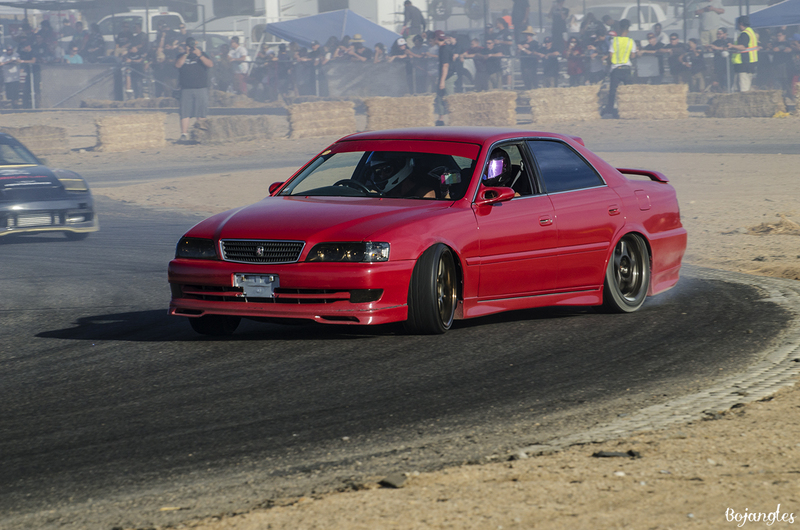 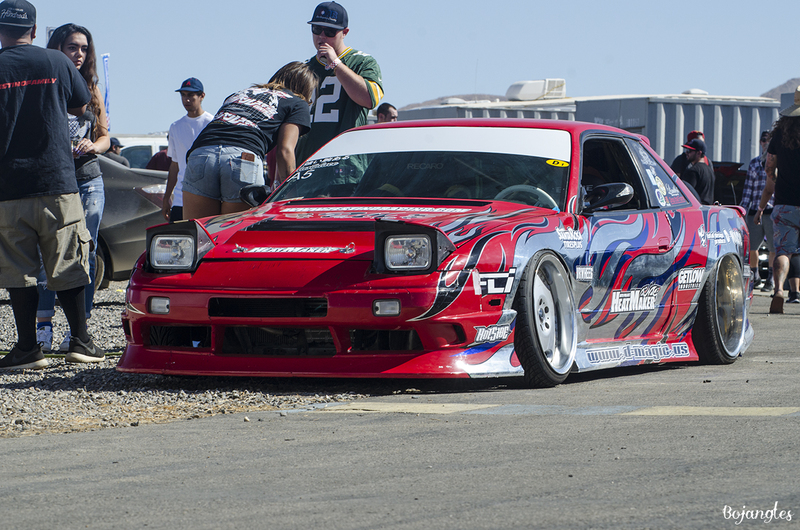 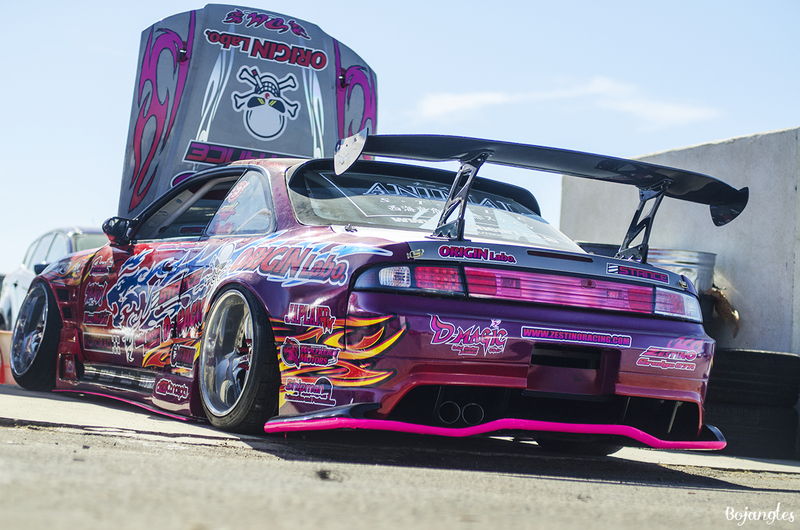 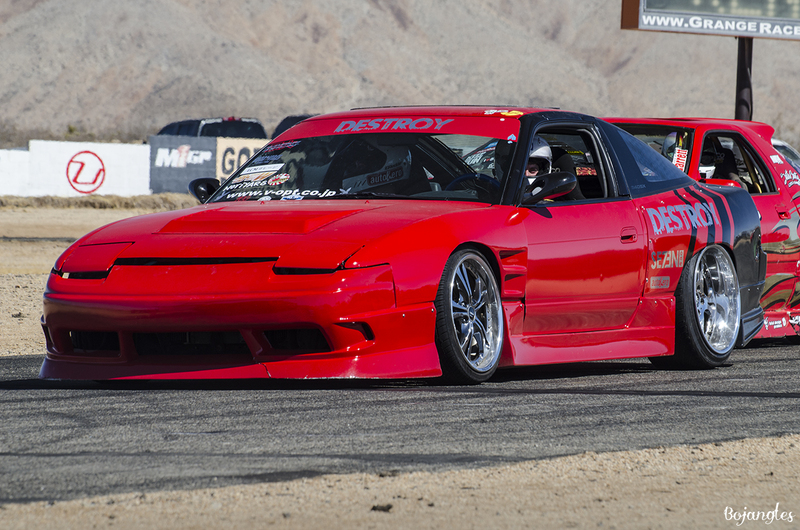 Dominic from Goldstar brought his car down from Sacramento, so rad seeing this car on the track.